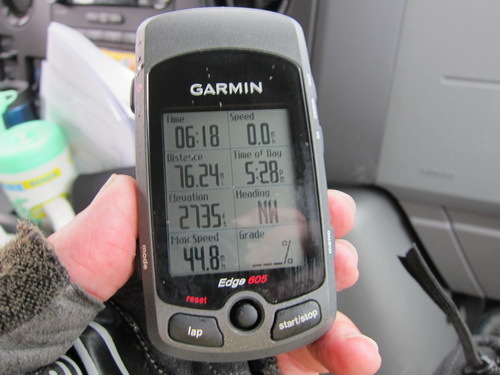 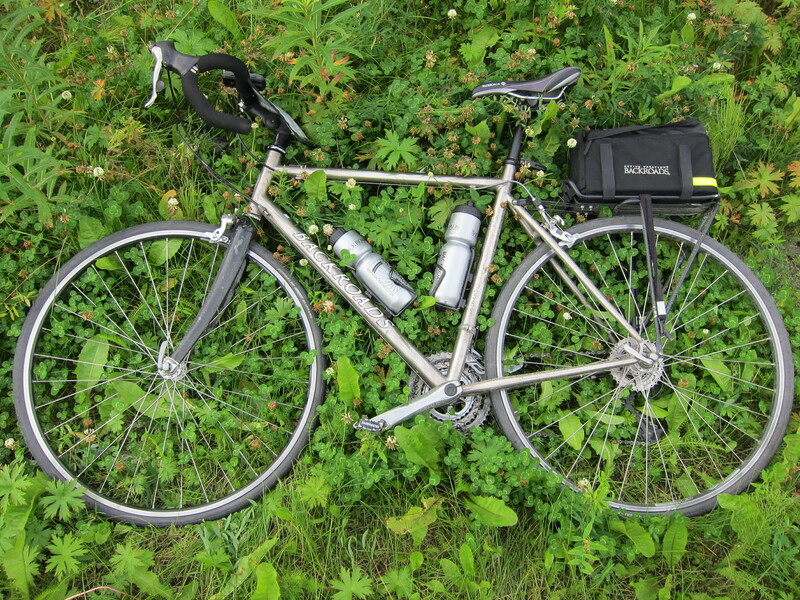 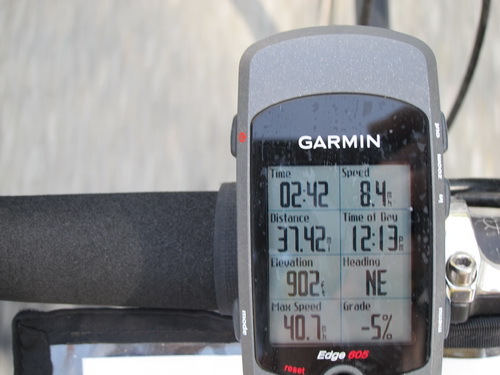 Biking: 76.25 miles, 6h18m, 5,140' of climbing, maximum 44.8 mph, average 12.1 mph. 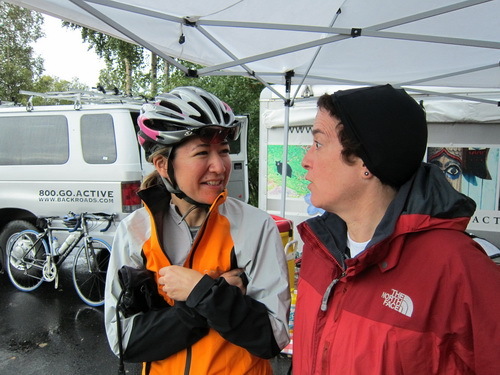 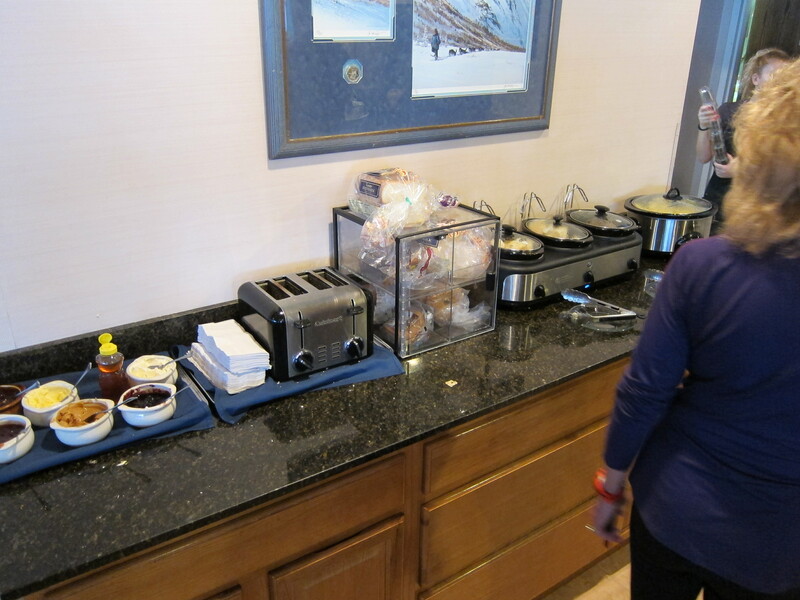 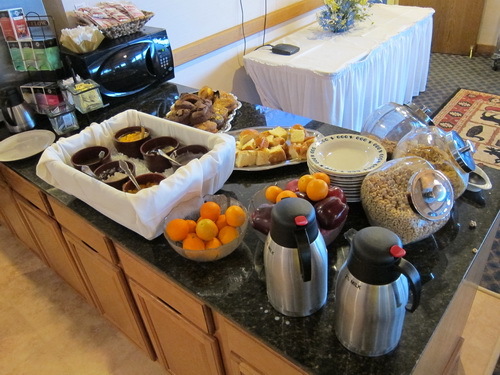 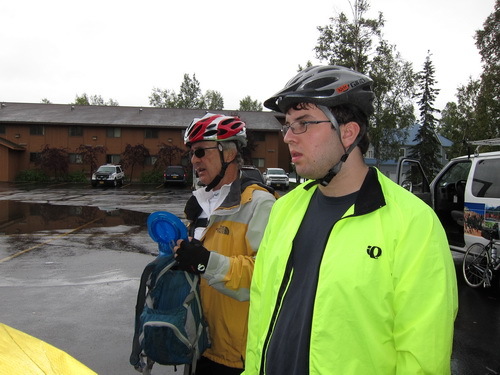 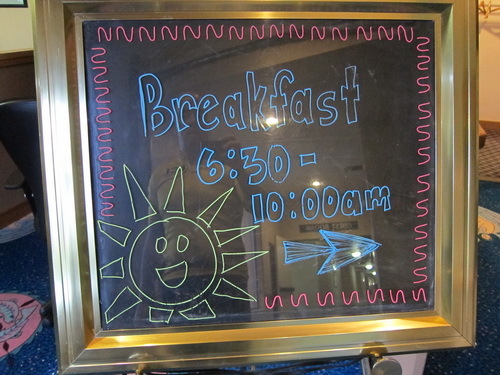 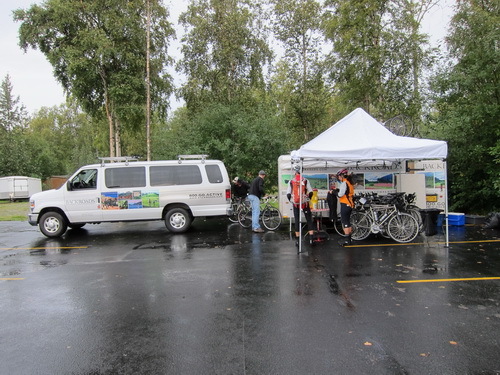 After breakfast we packed water and snacks and got on our bikes in a very light rain and rode back through Wasilla and east toward the Glenn Highway. 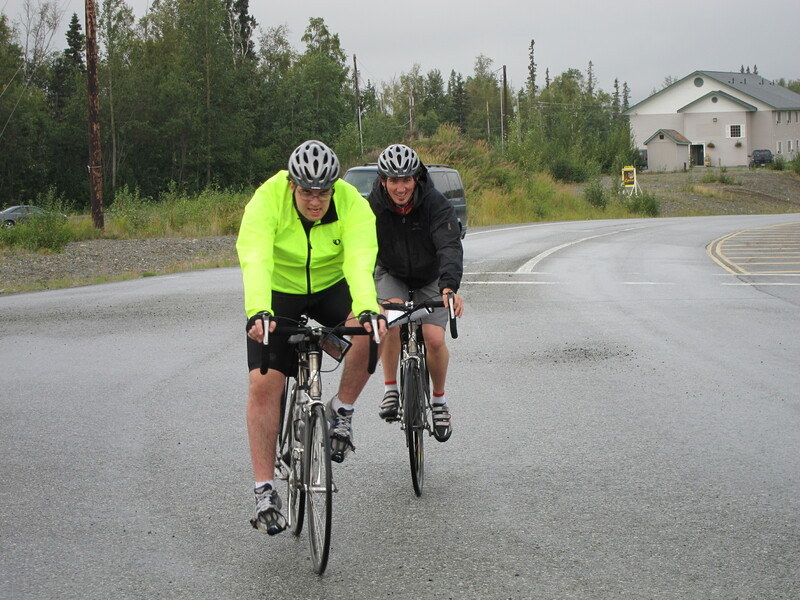 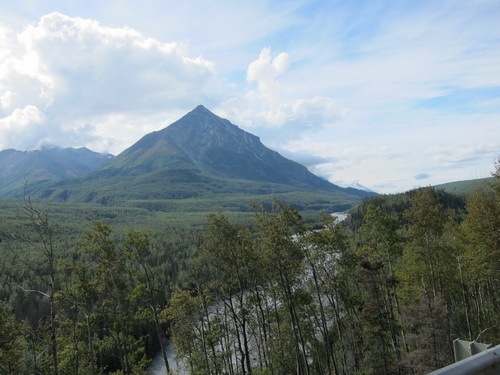 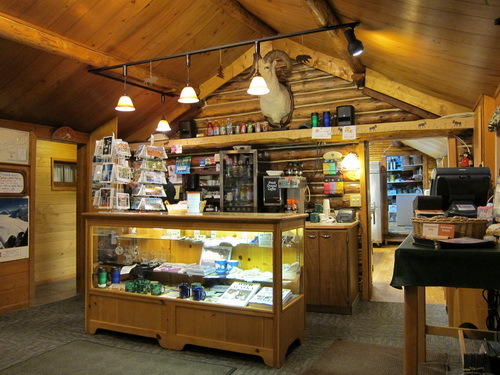 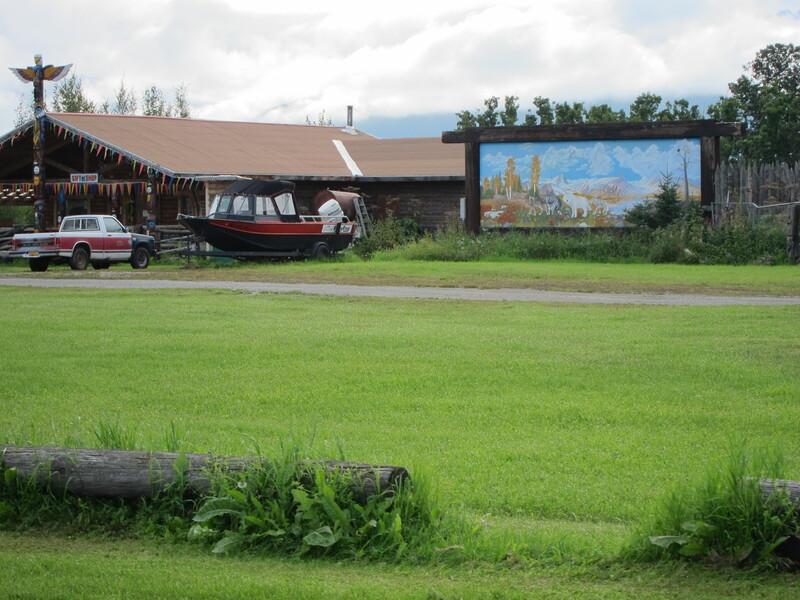 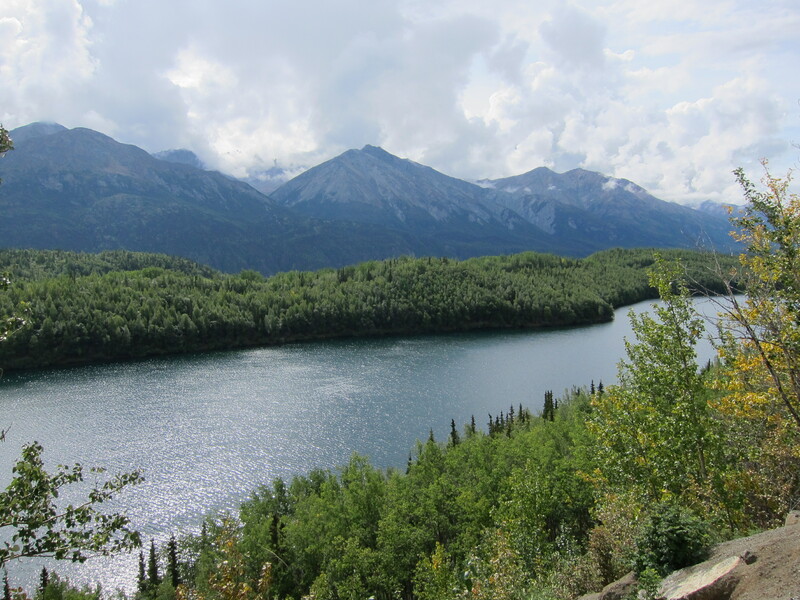 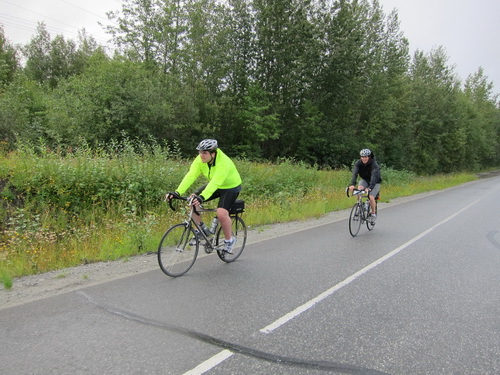 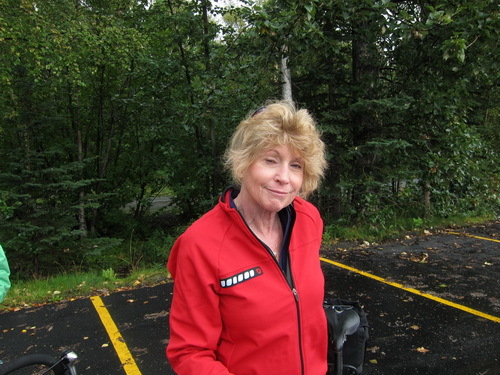 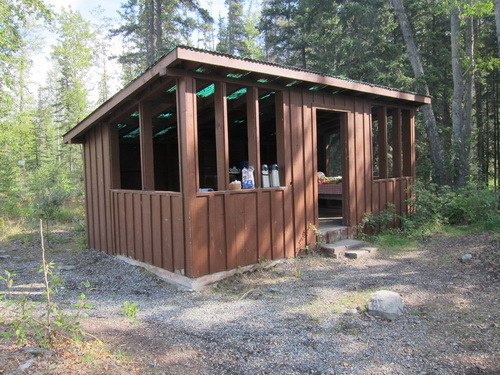 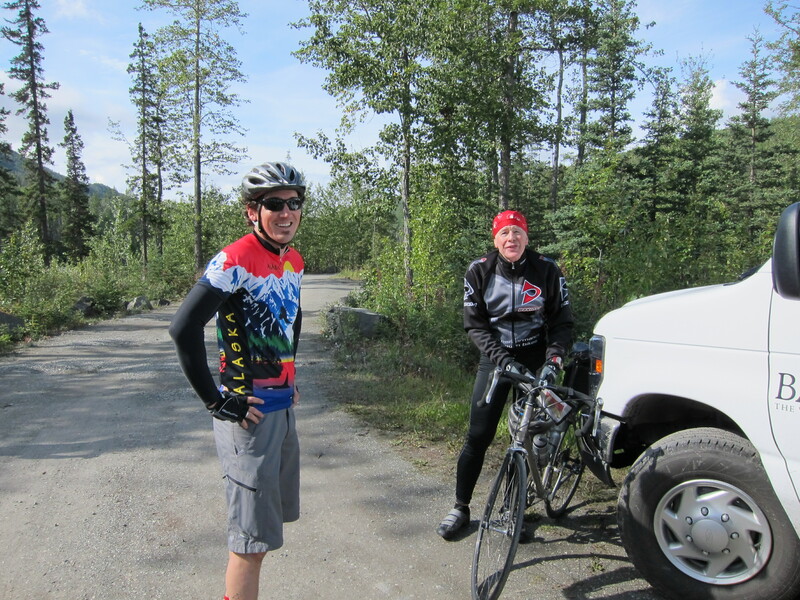 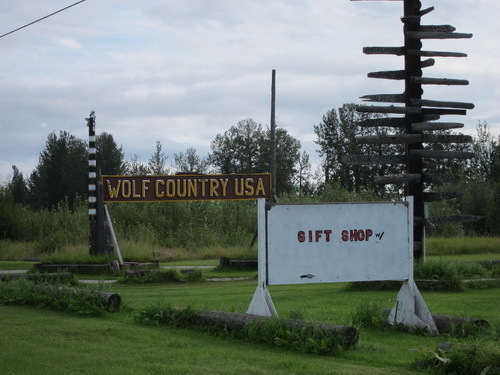 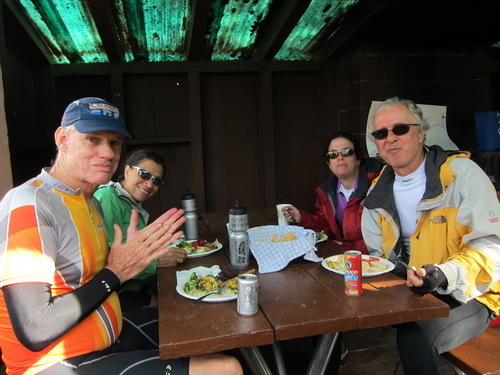 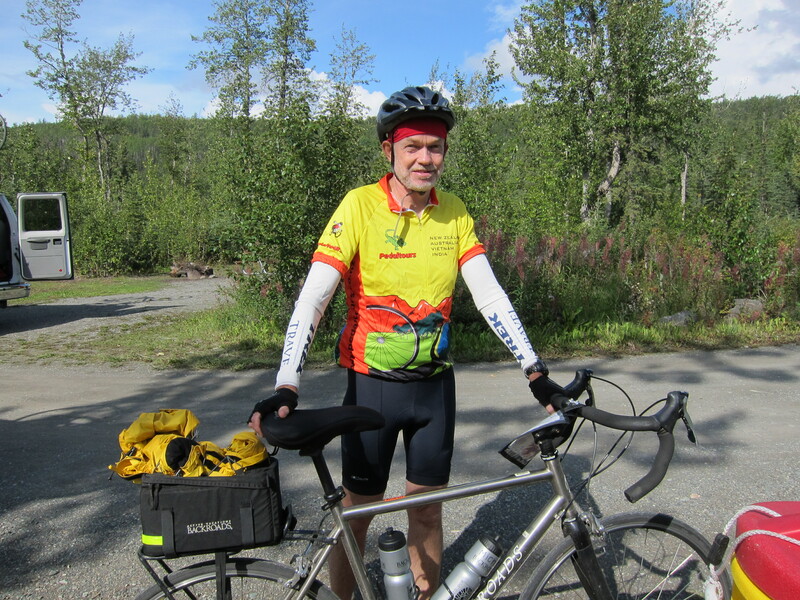 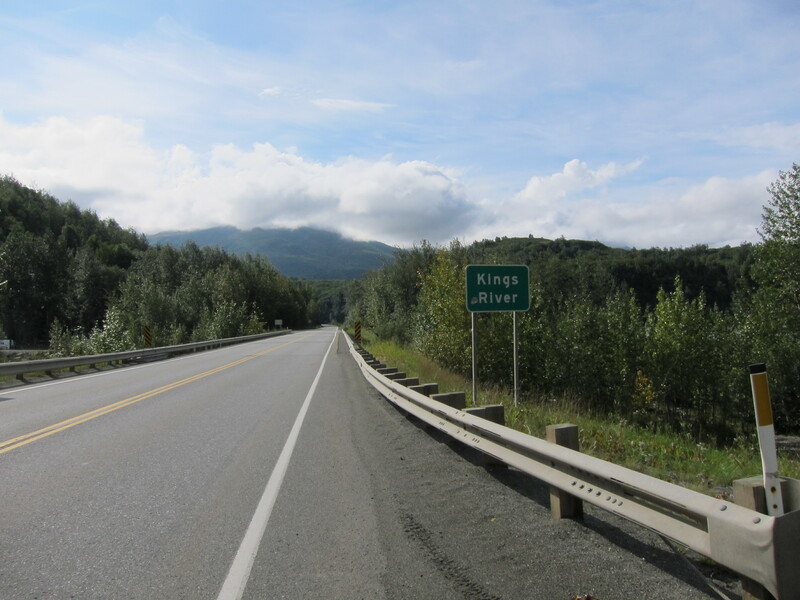 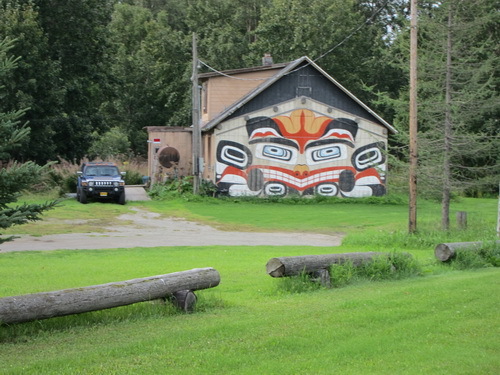 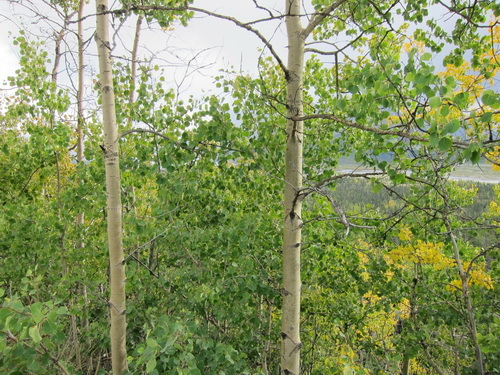 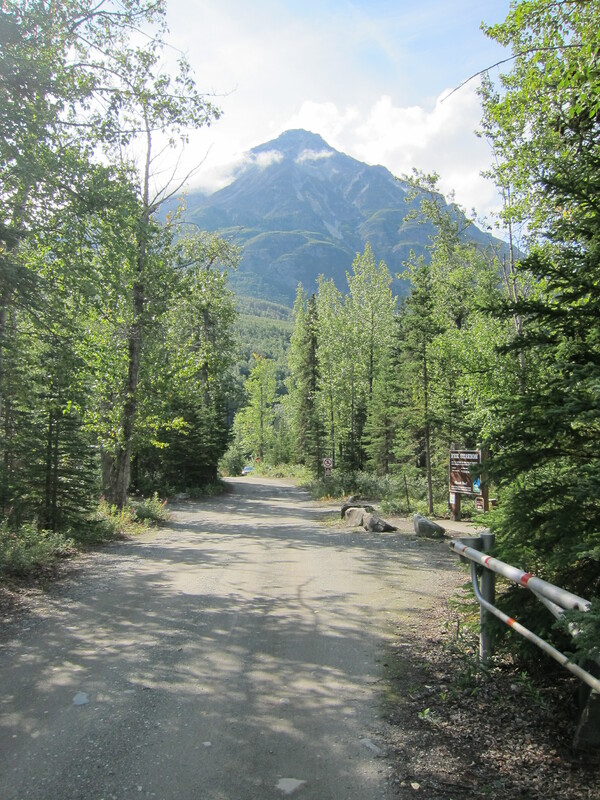 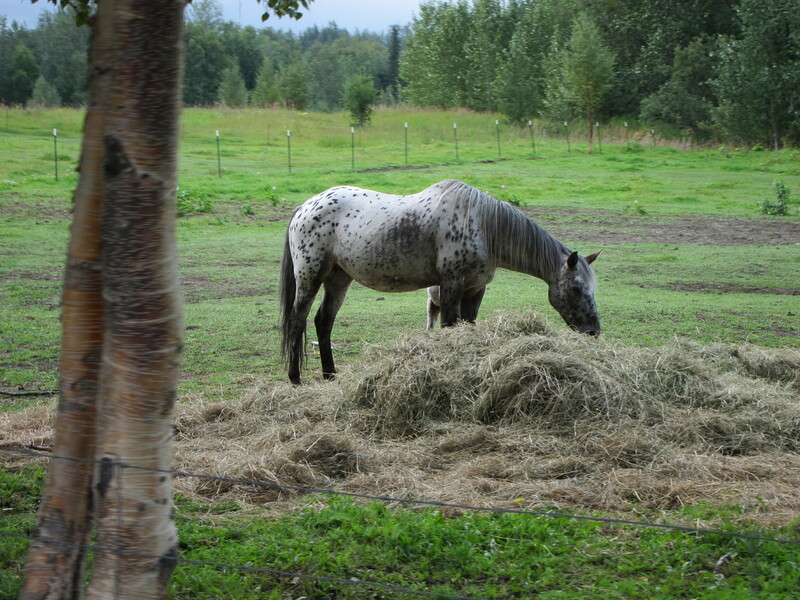 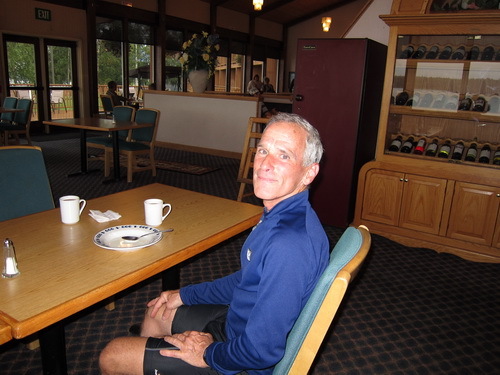 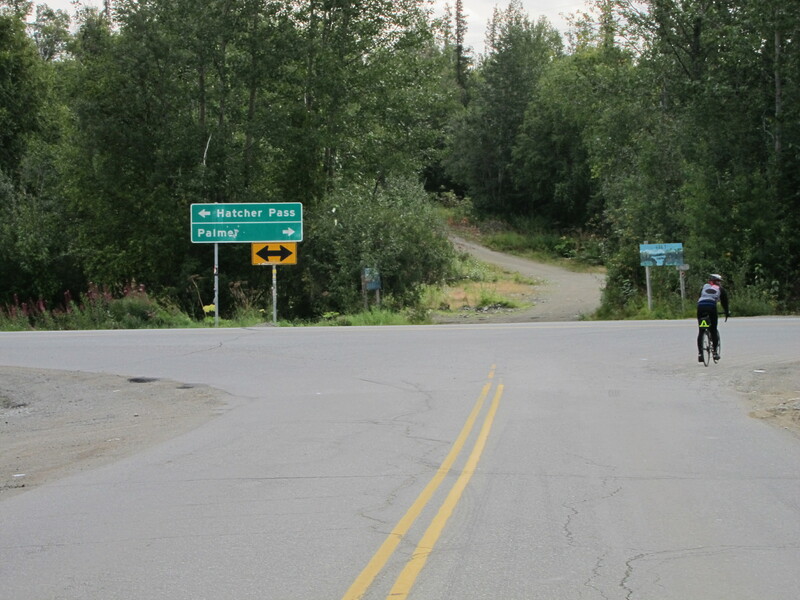 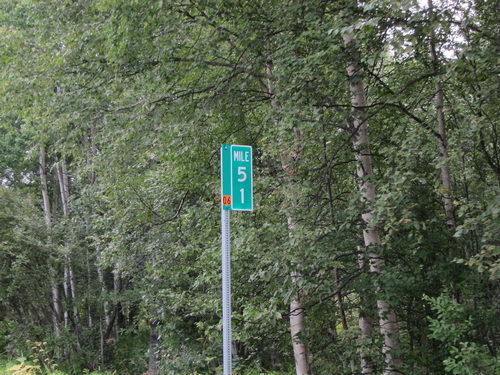 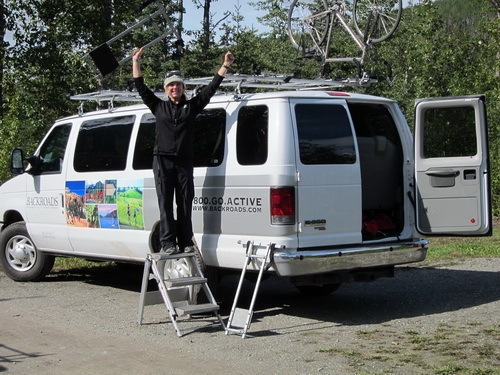 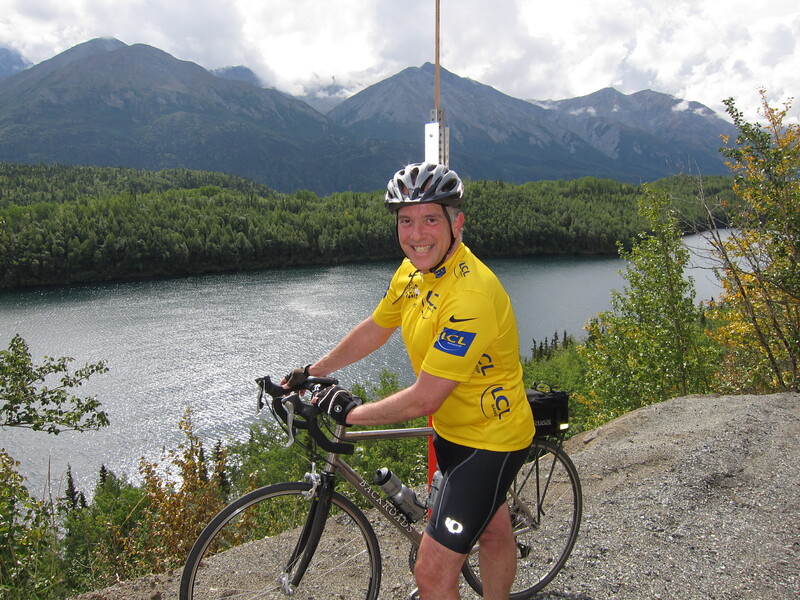 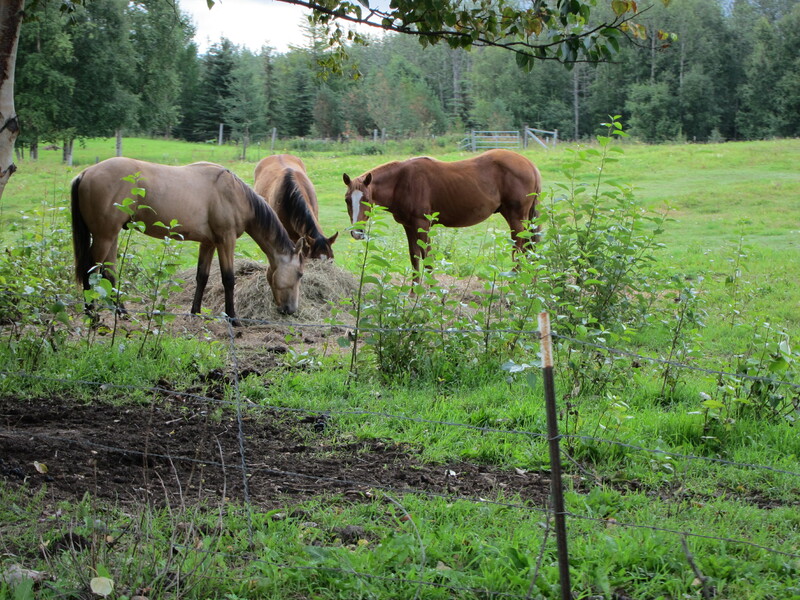 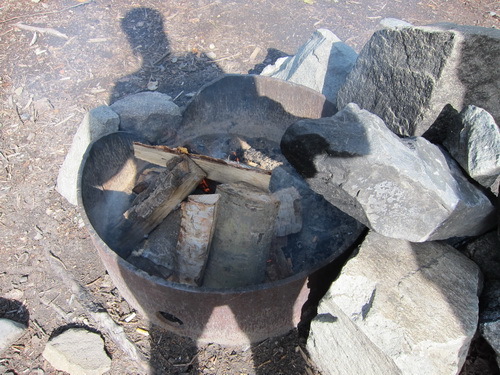 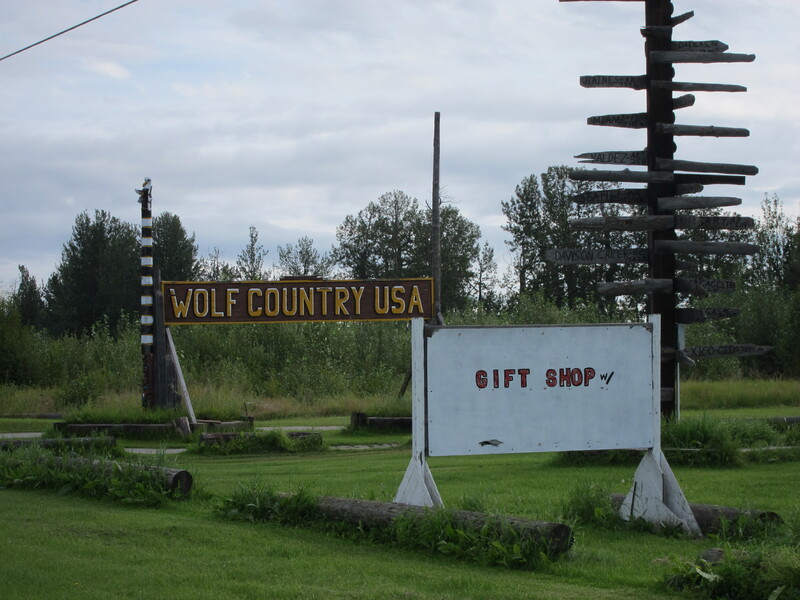 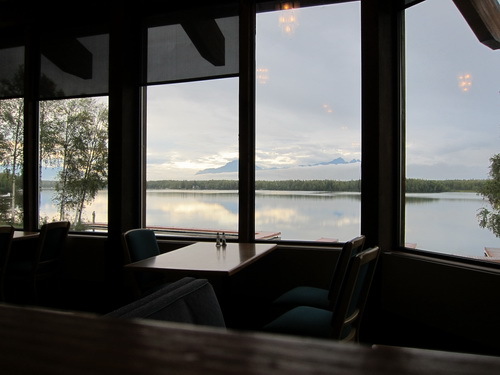 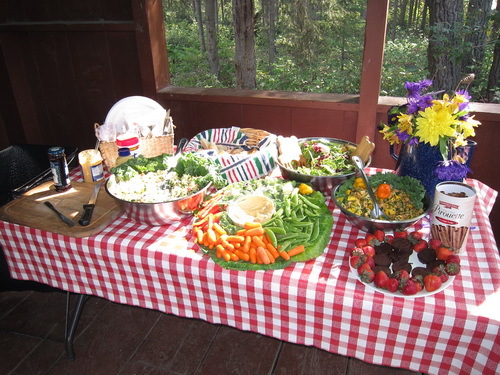 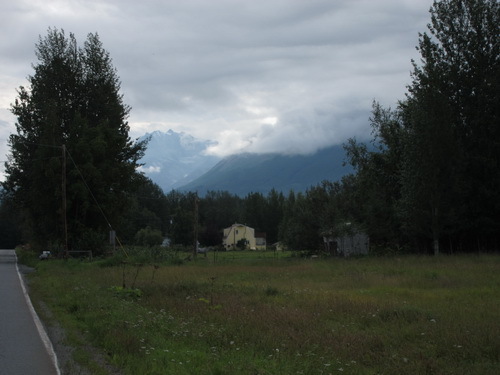 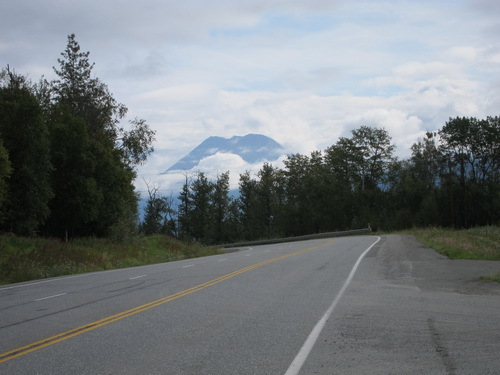 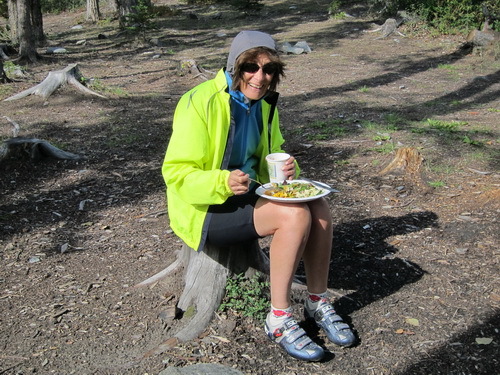 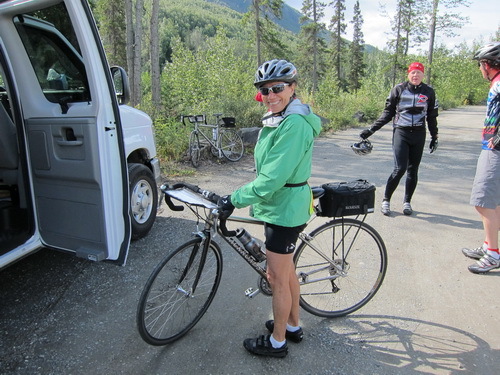 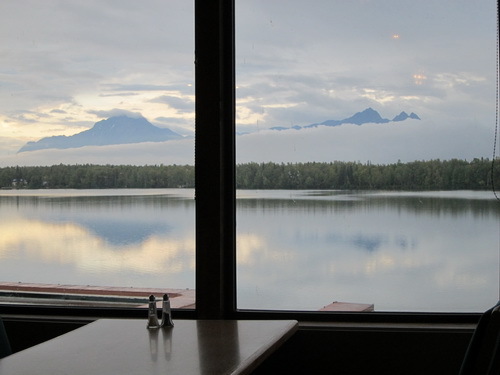 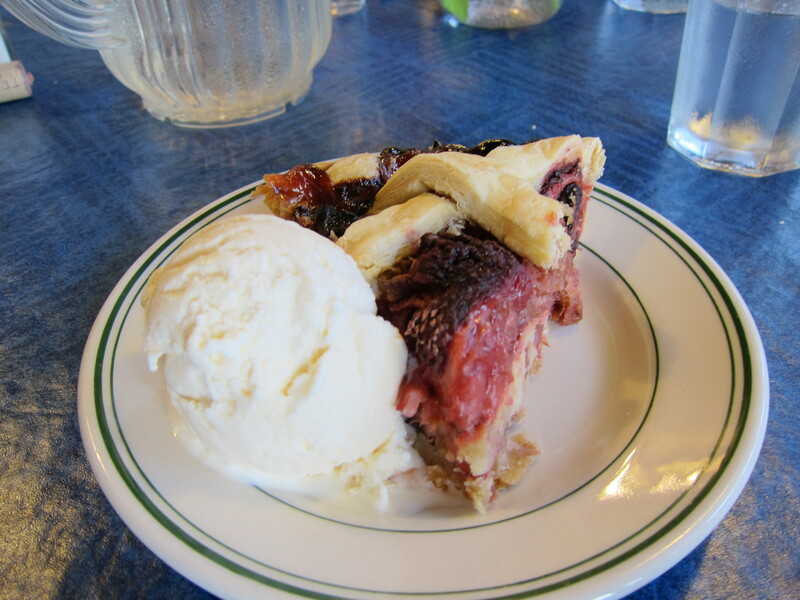 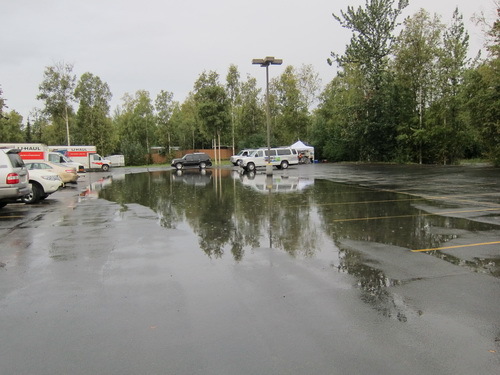 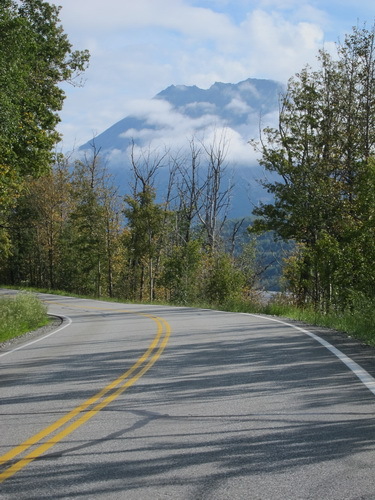 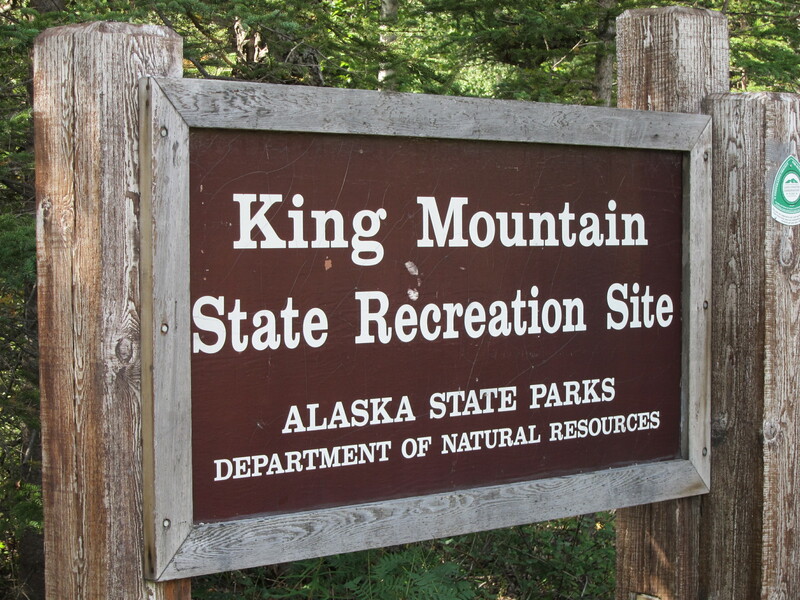 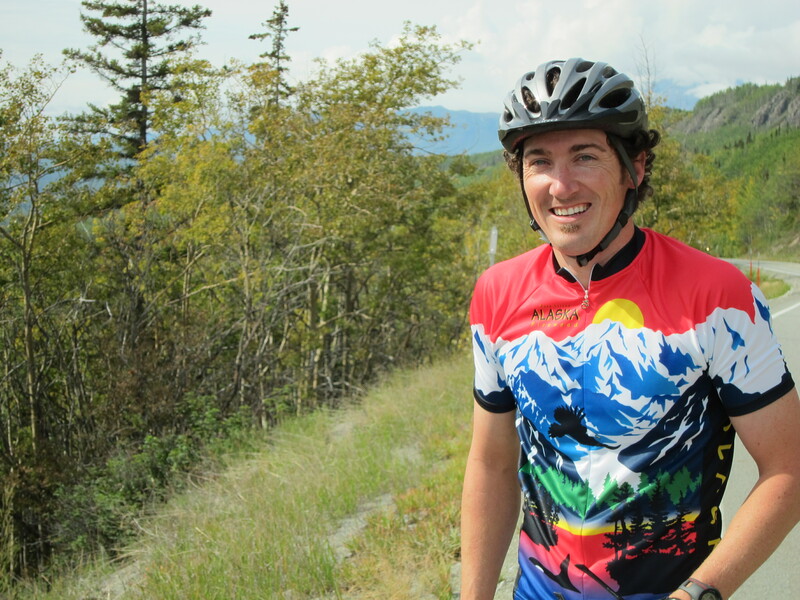 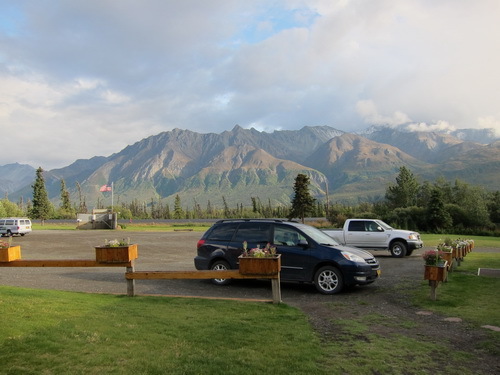 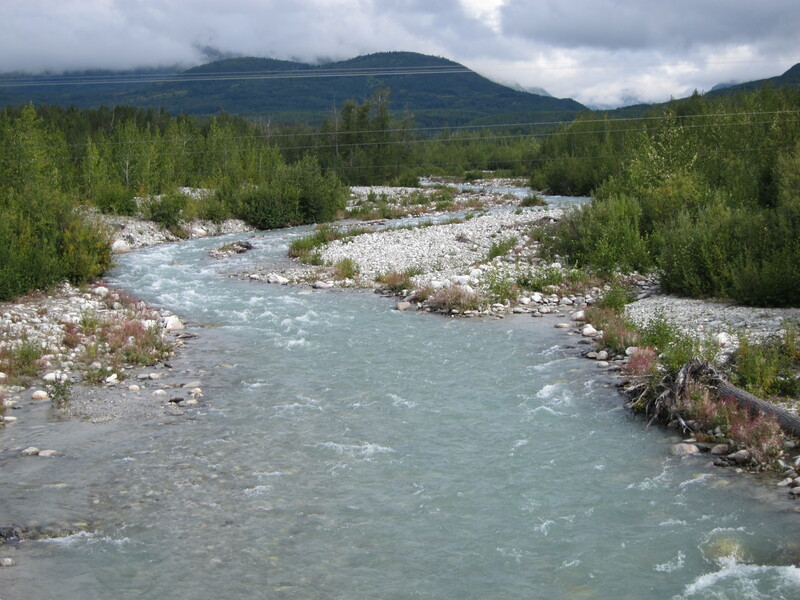 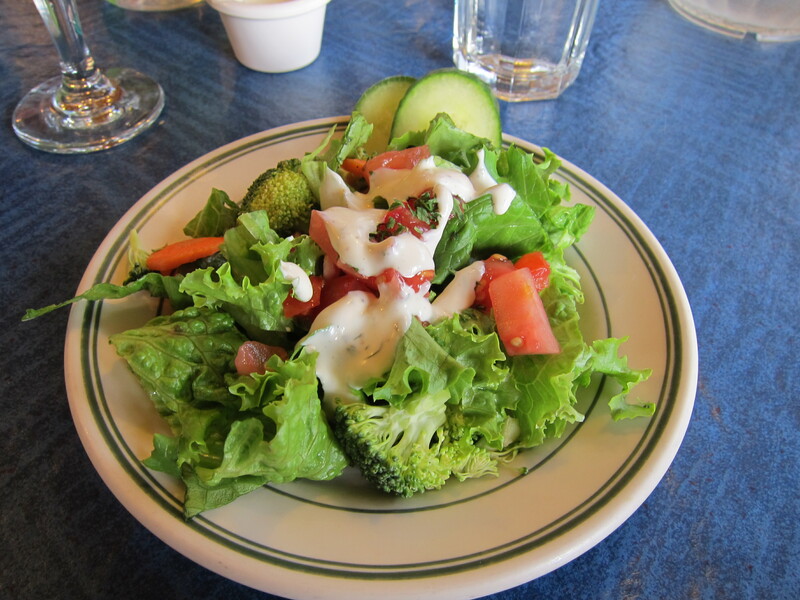 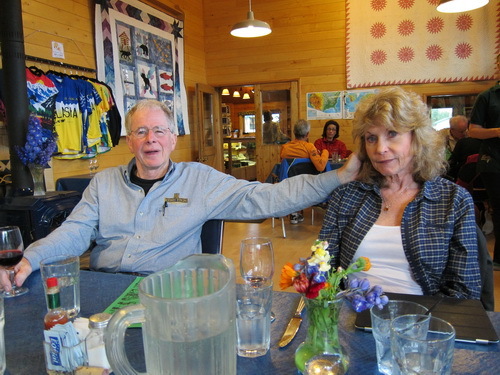 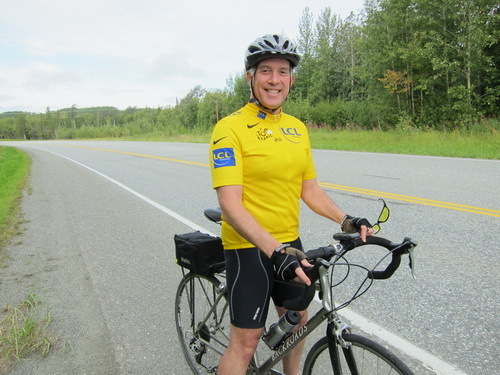 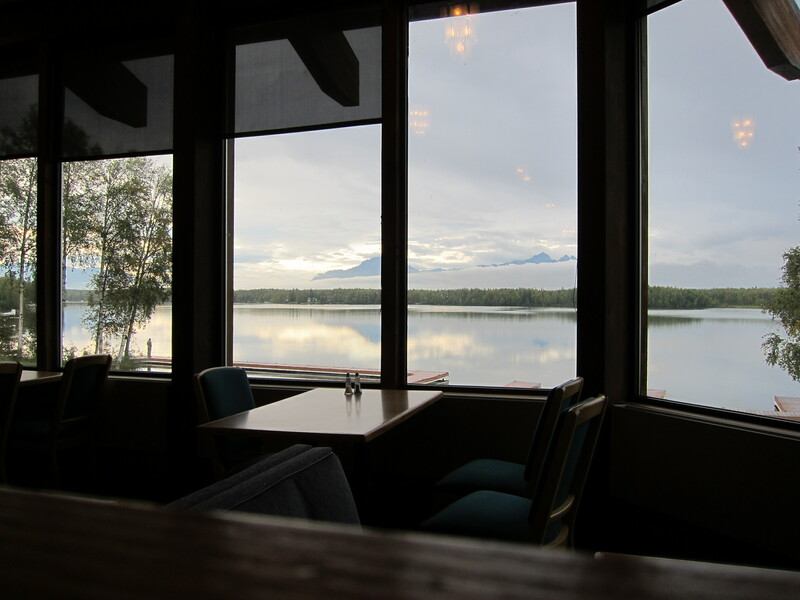 We rode through Wasilla and Palmer and stopped for lunch at mile 41 at King Mountain State Recreation Site. 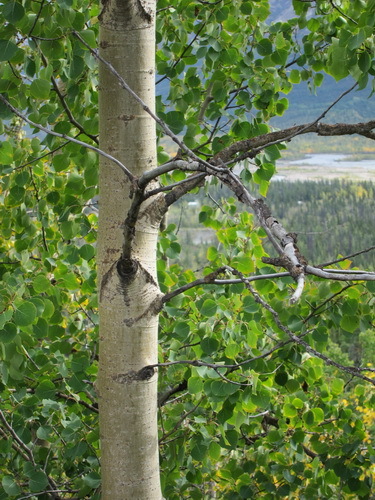 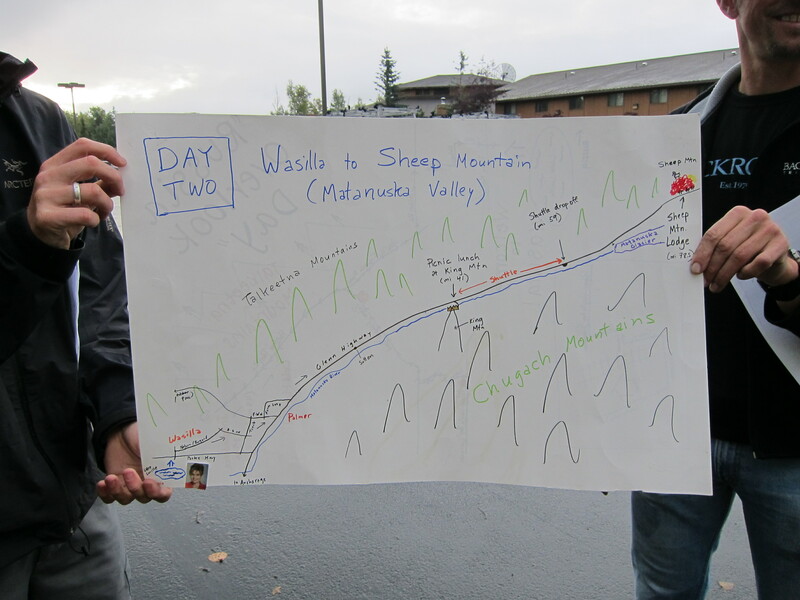 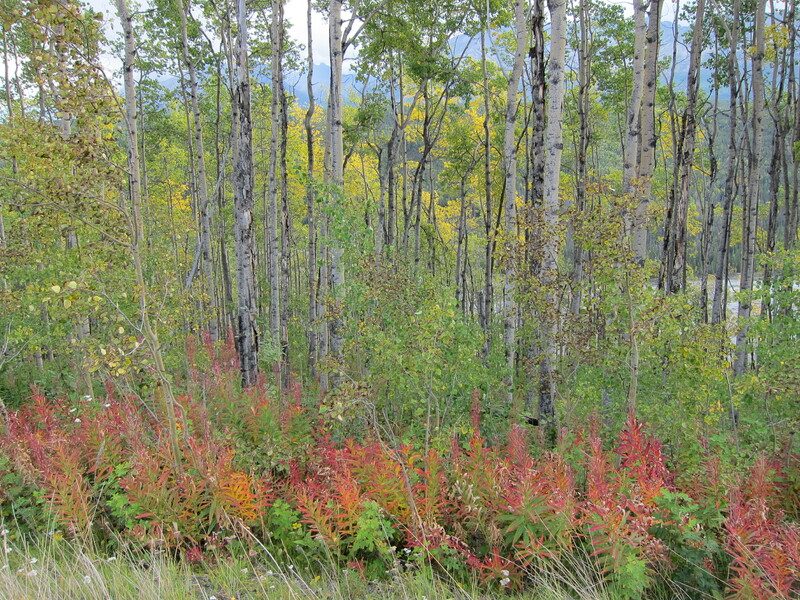 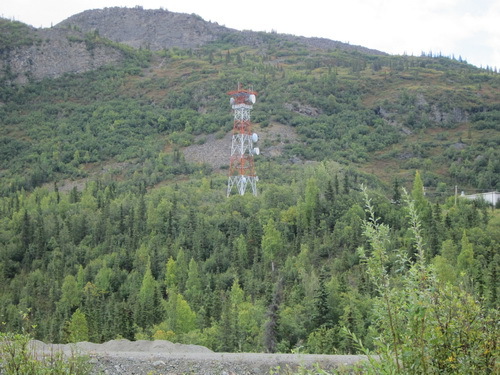 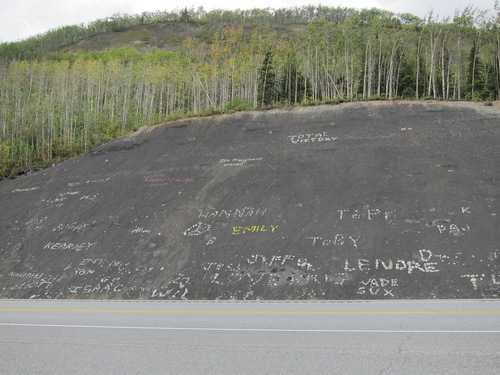 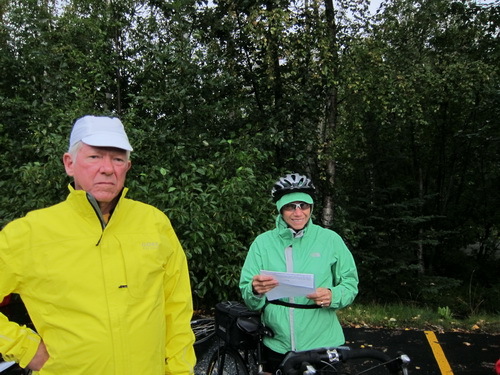 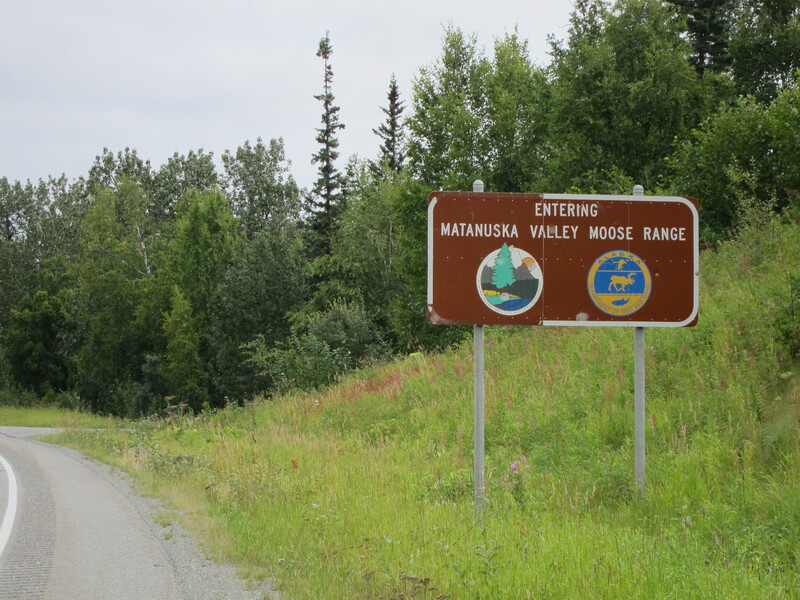 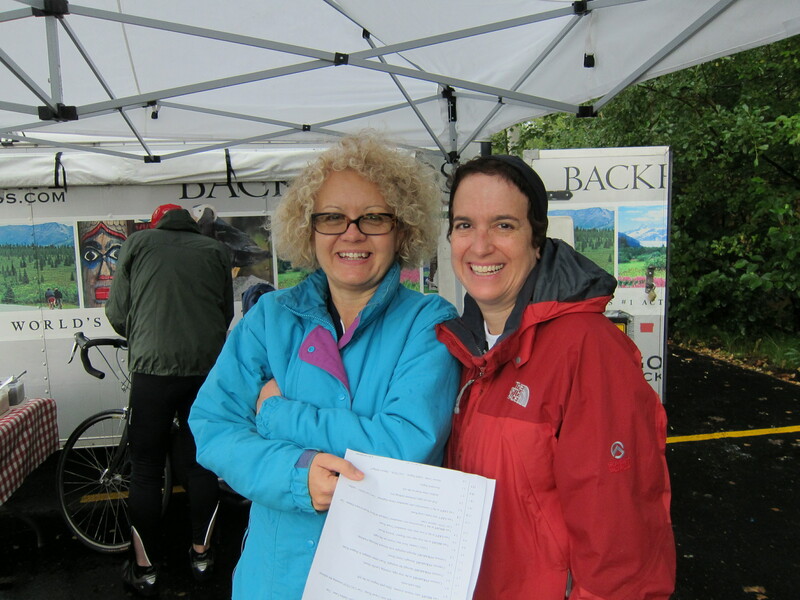 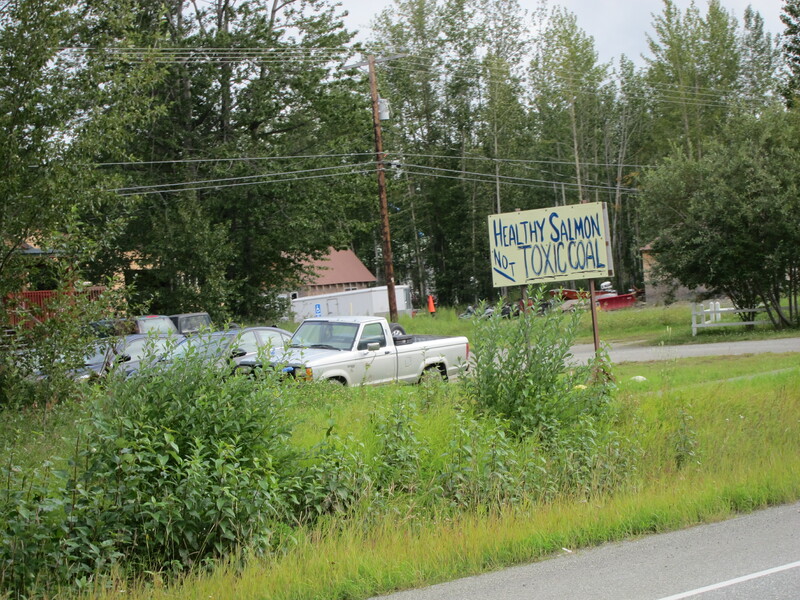 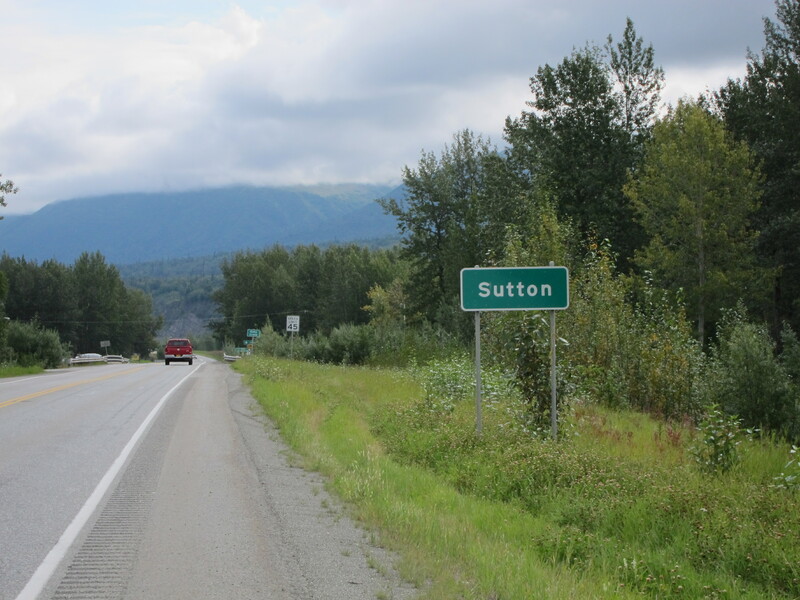 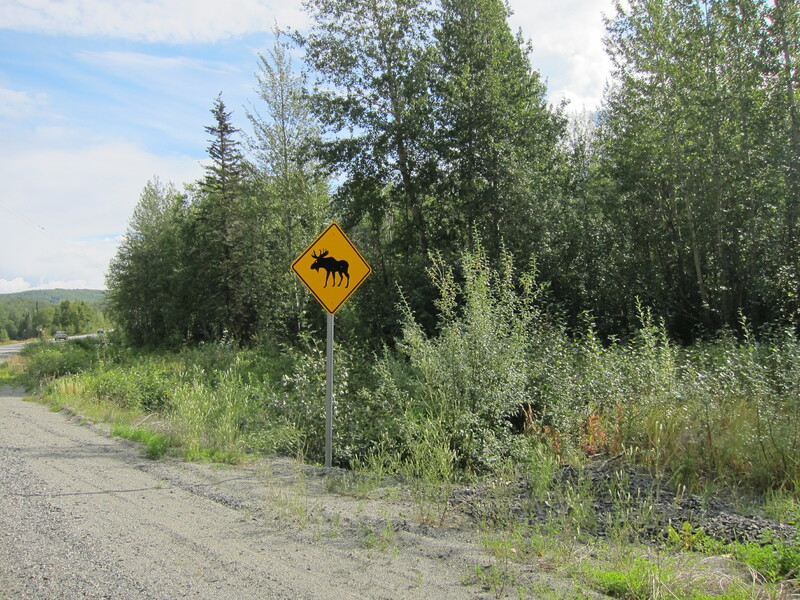 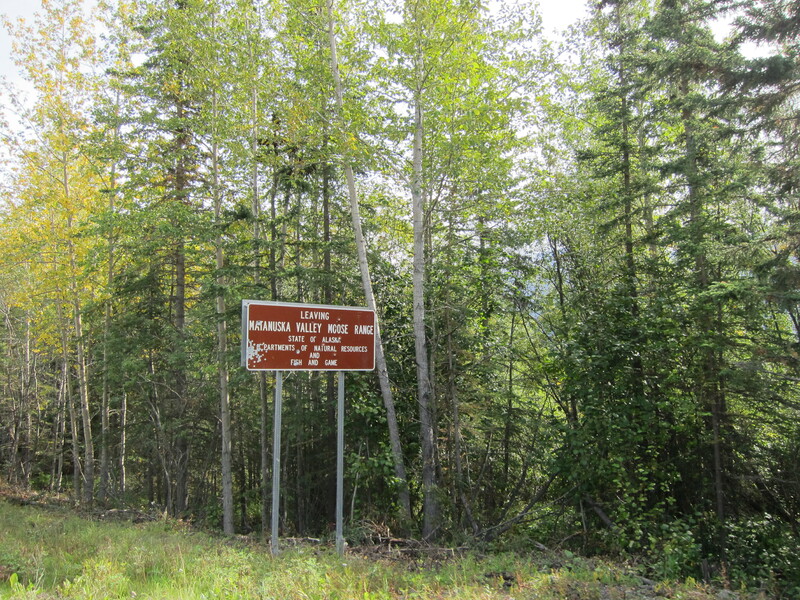 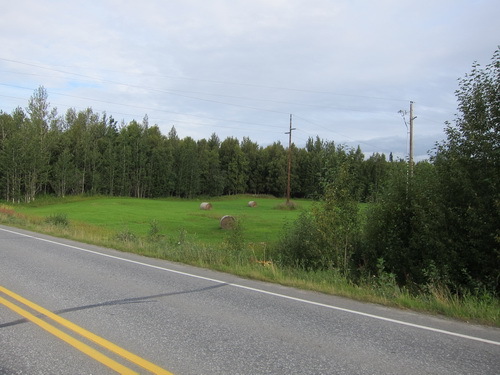 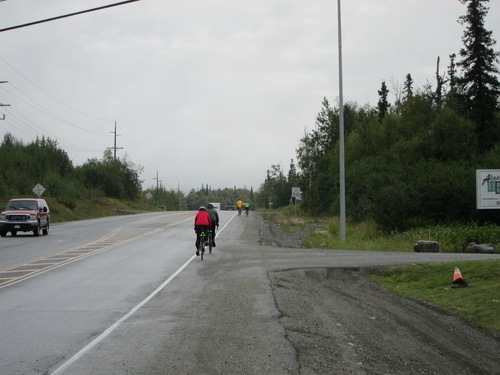 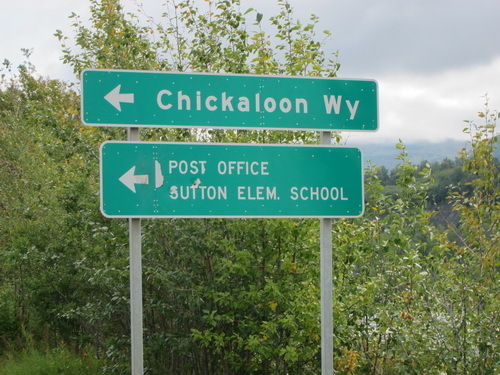 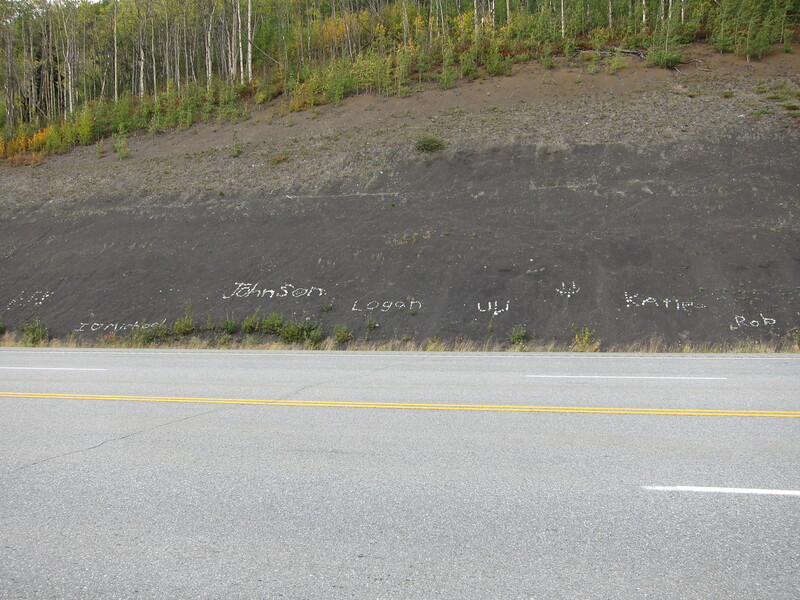 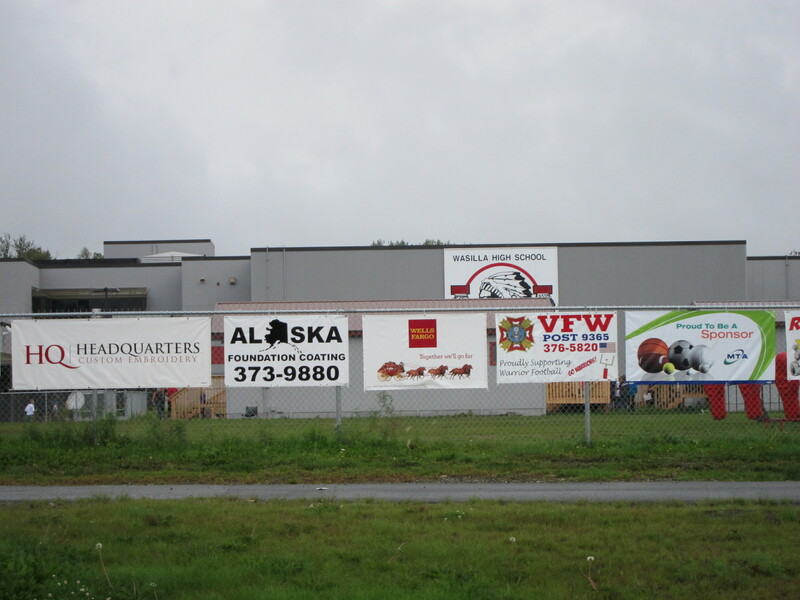 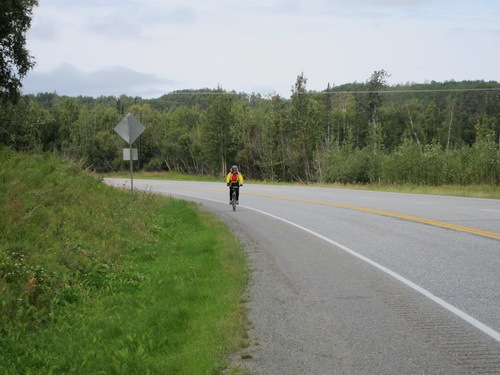 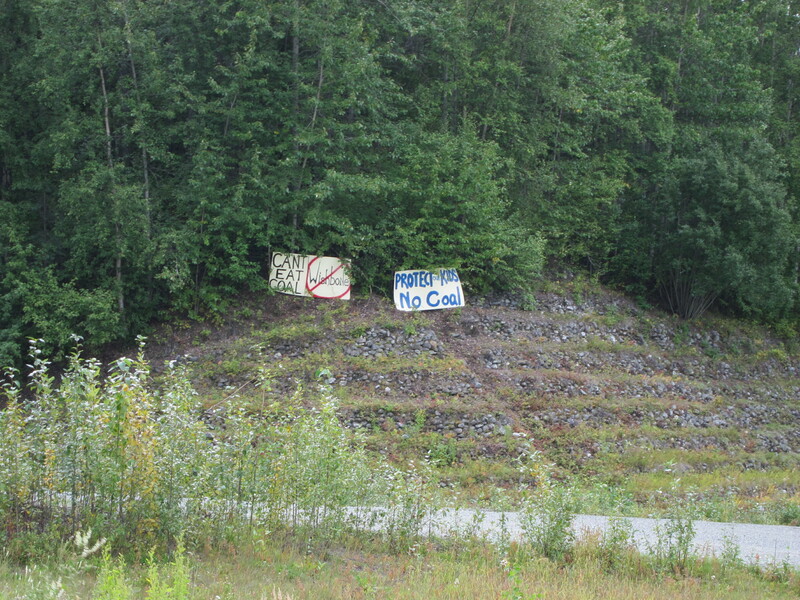 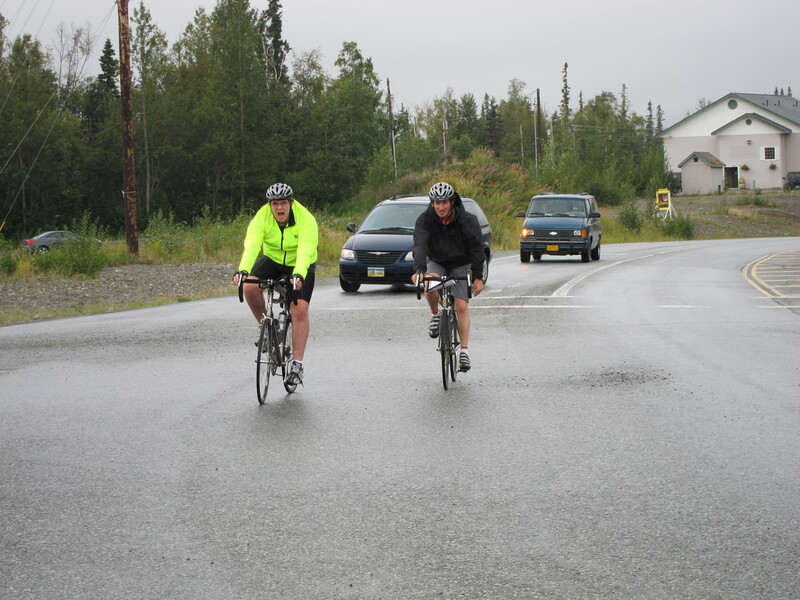 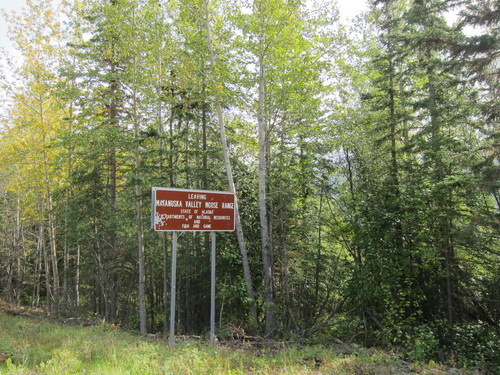 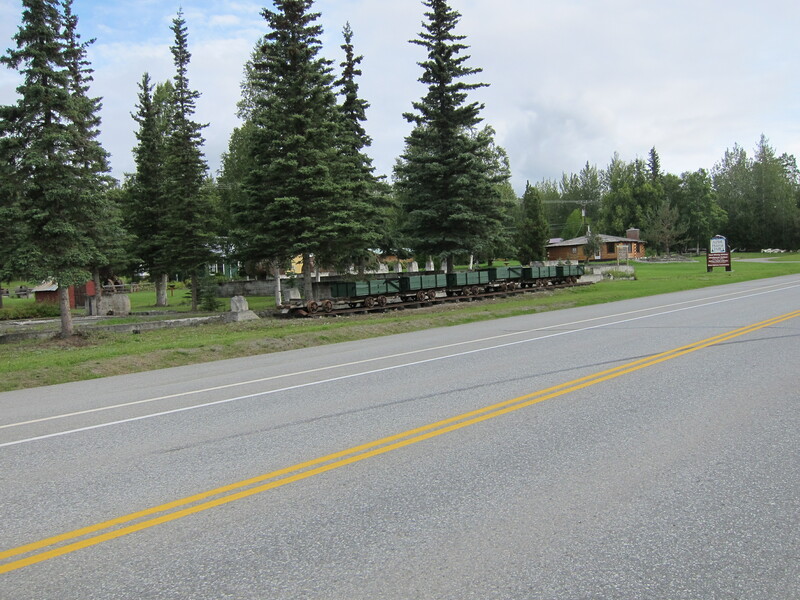 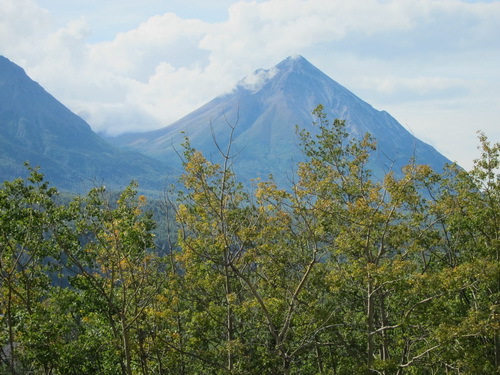 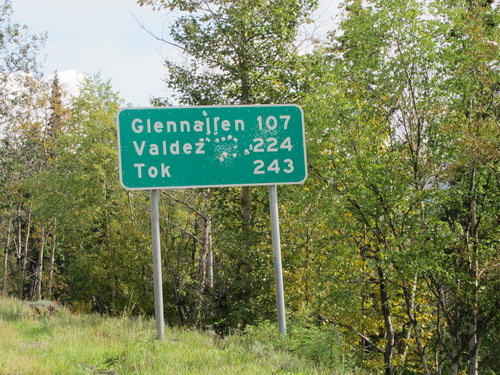 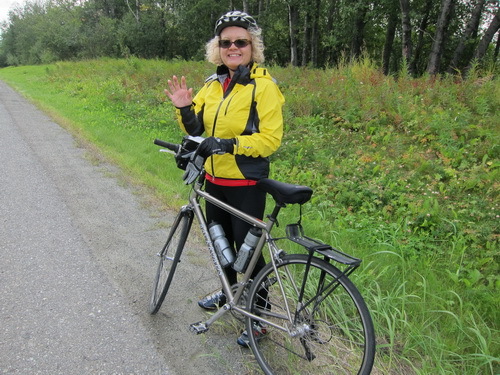 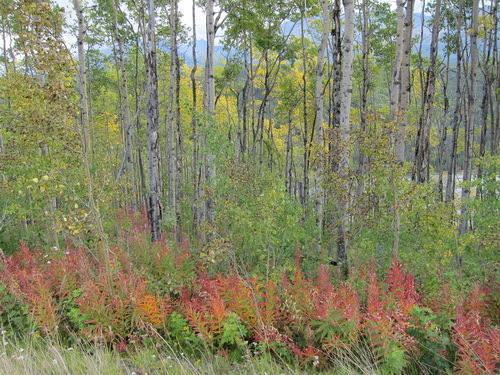 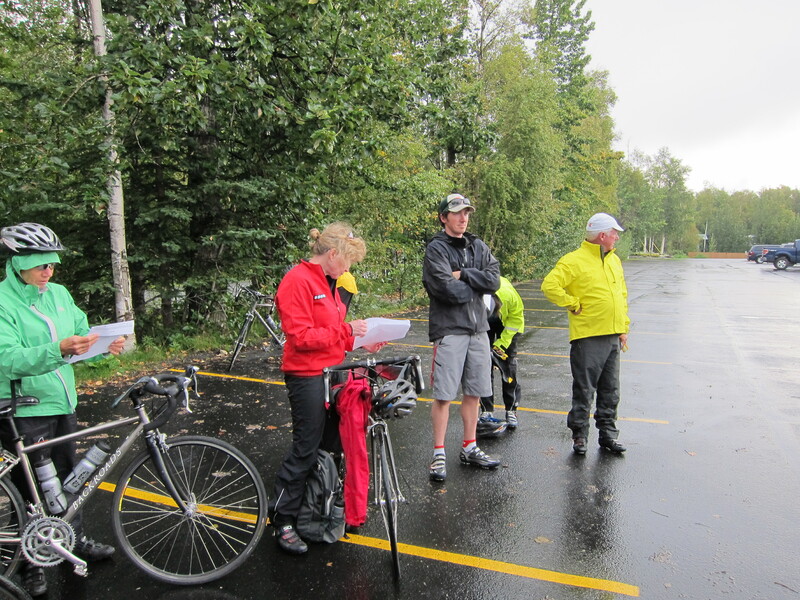 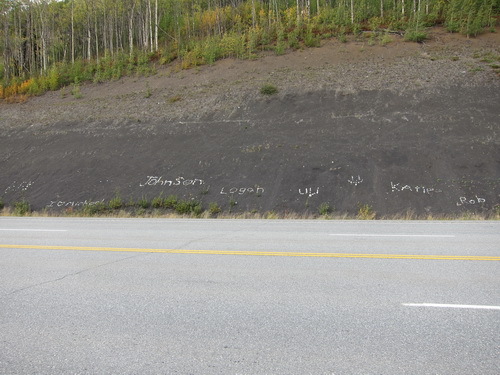 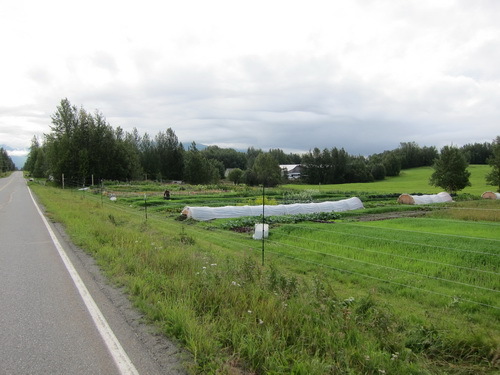 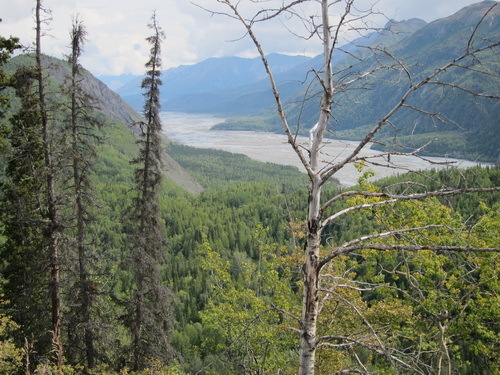 Then it was back on our bikes through the Matanuska Valley where we saw several signs for no coal -- a protest against a coal mine we presumed. 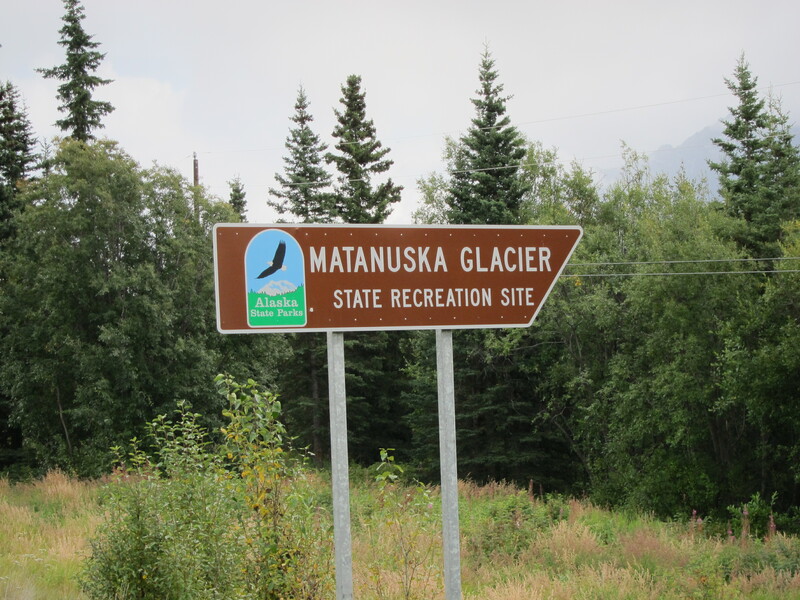 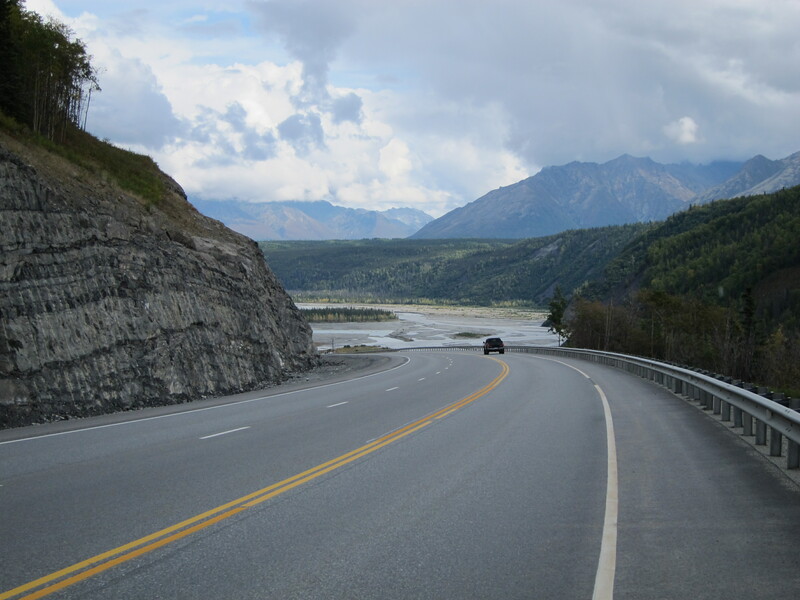 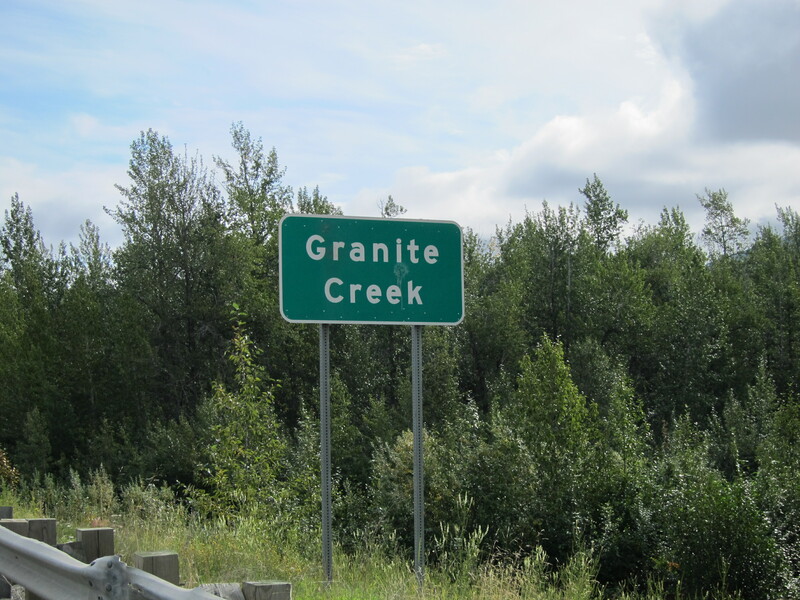 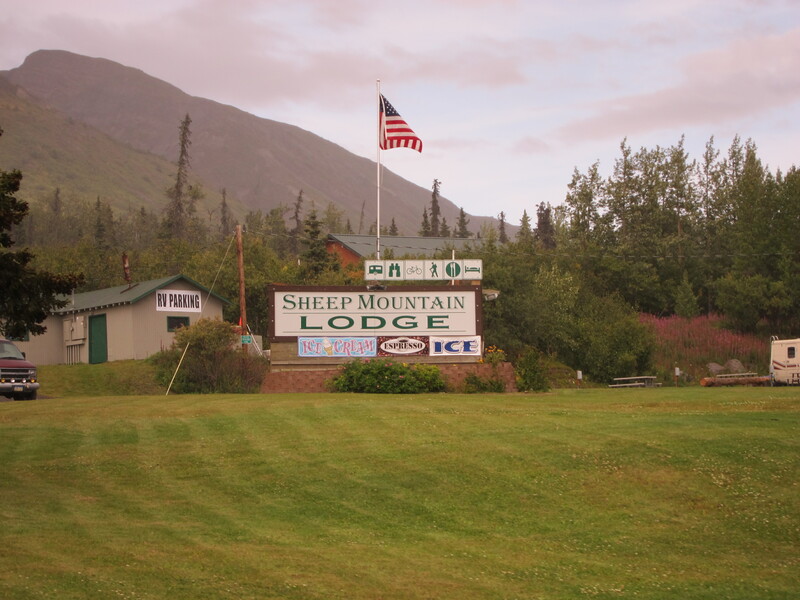 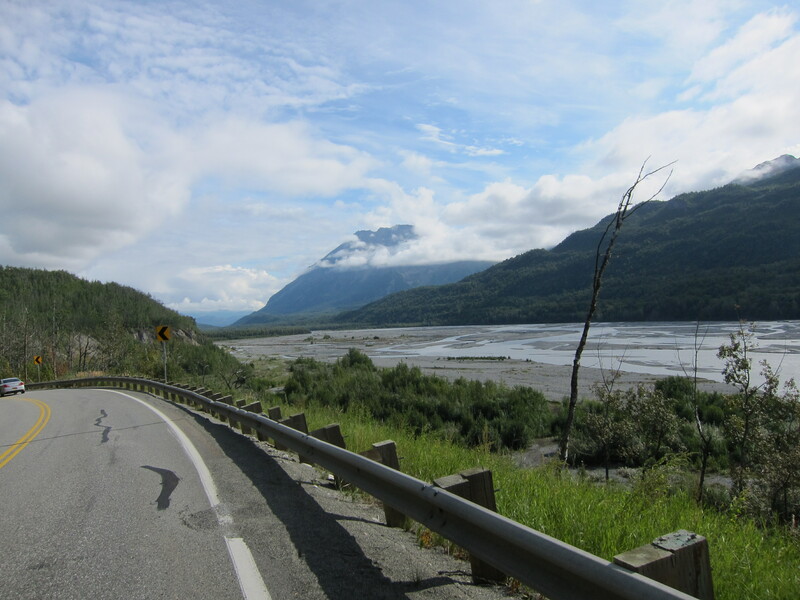 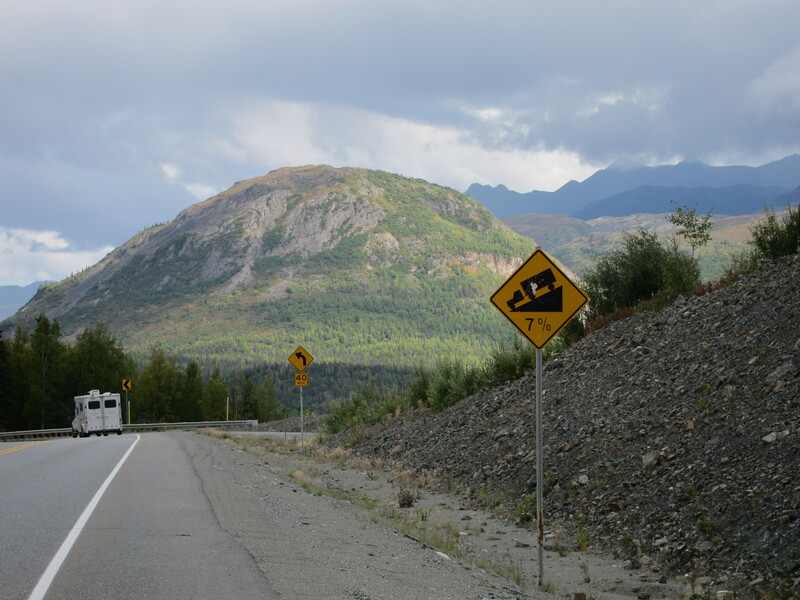 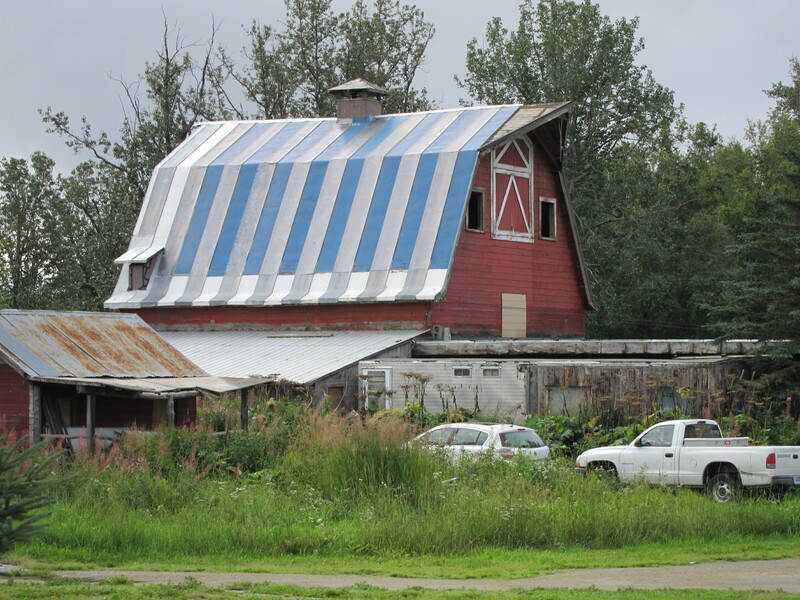 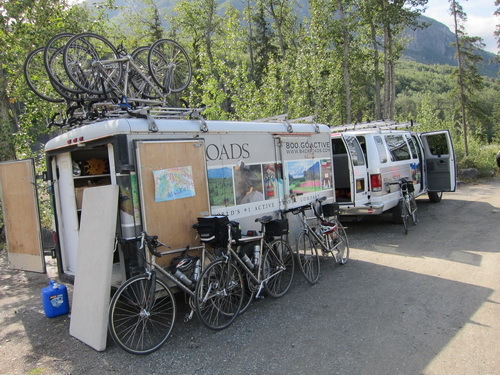 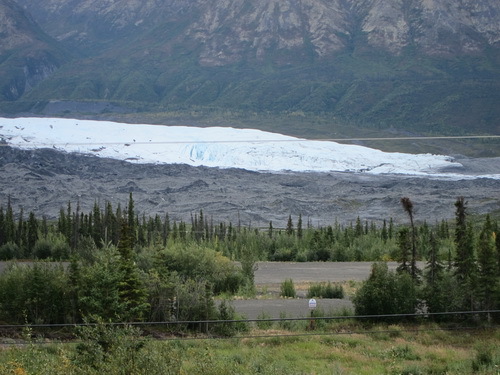 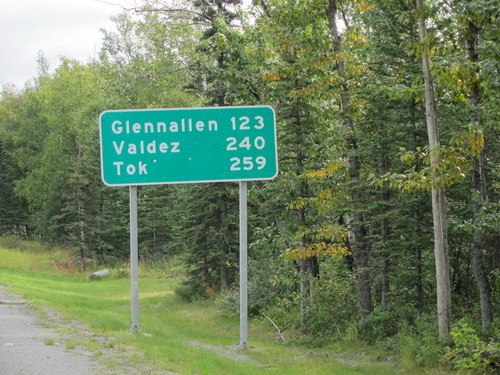 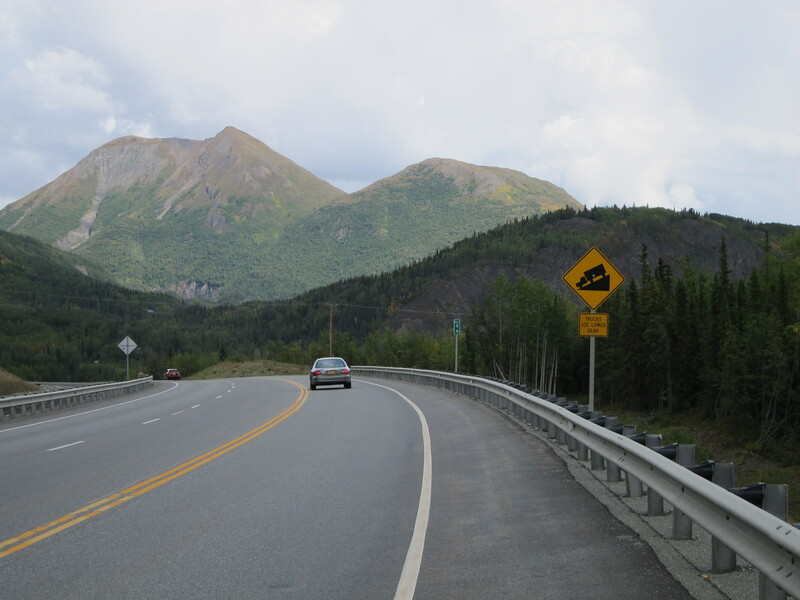 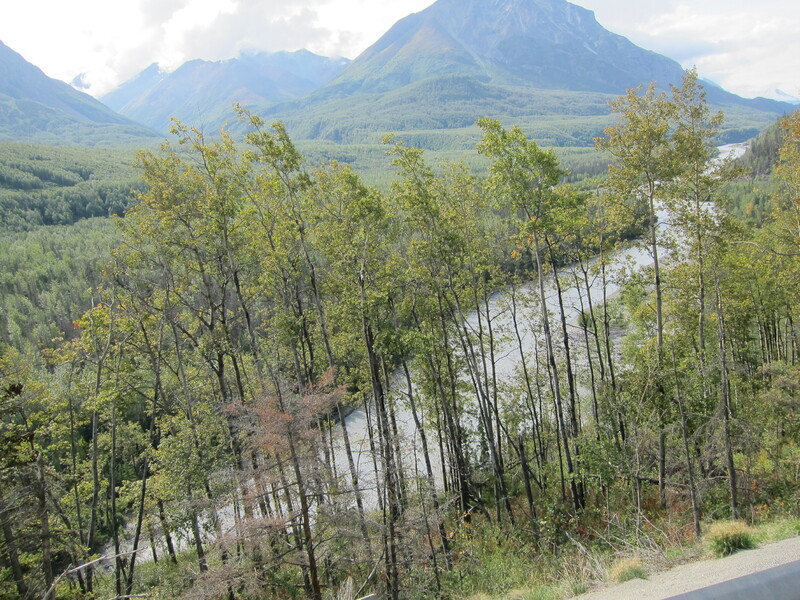 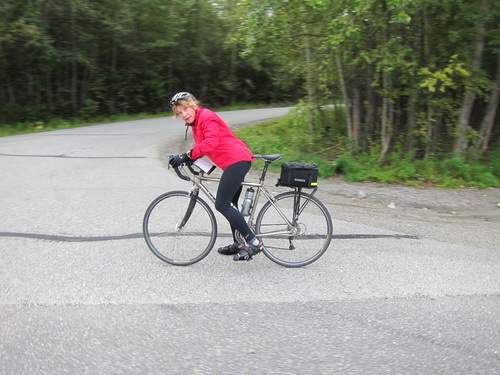 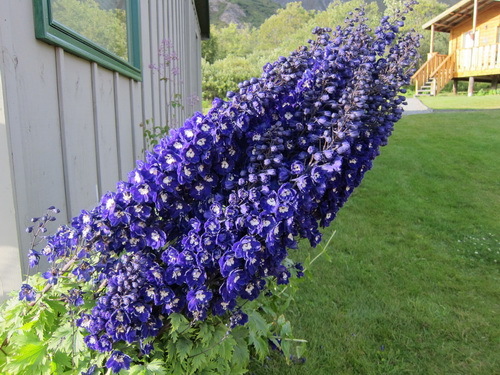 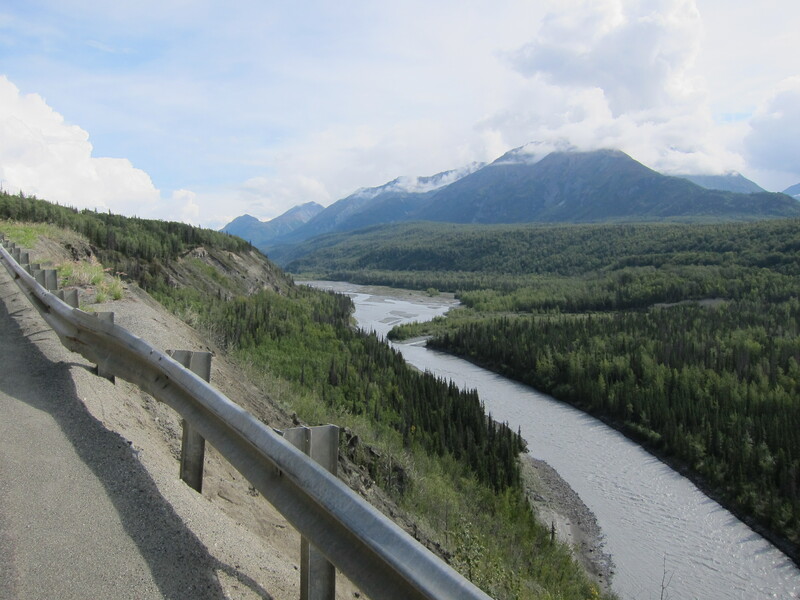 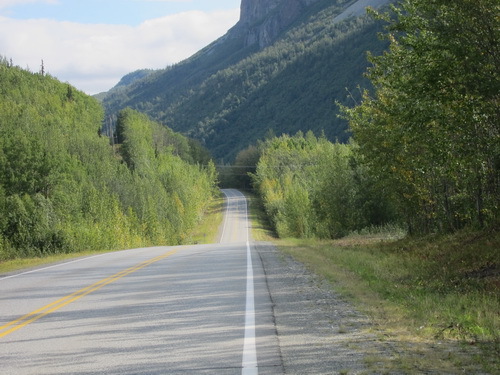 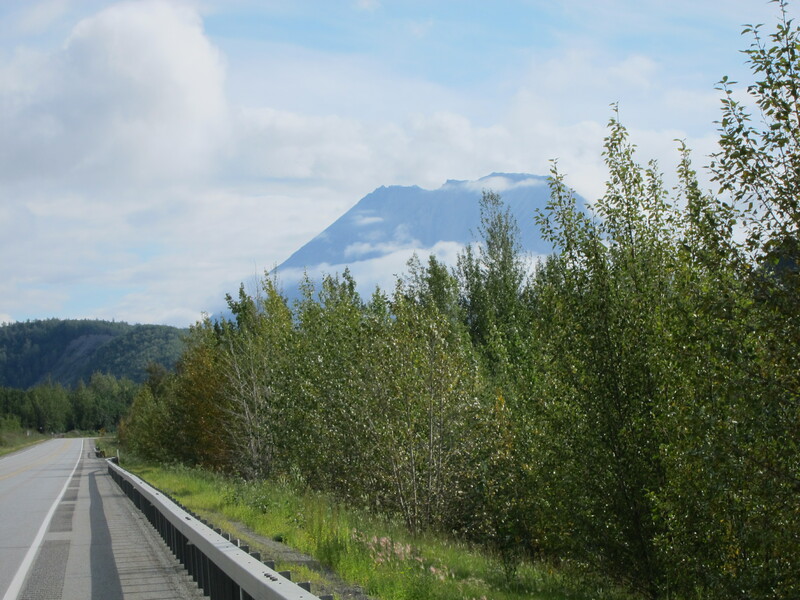 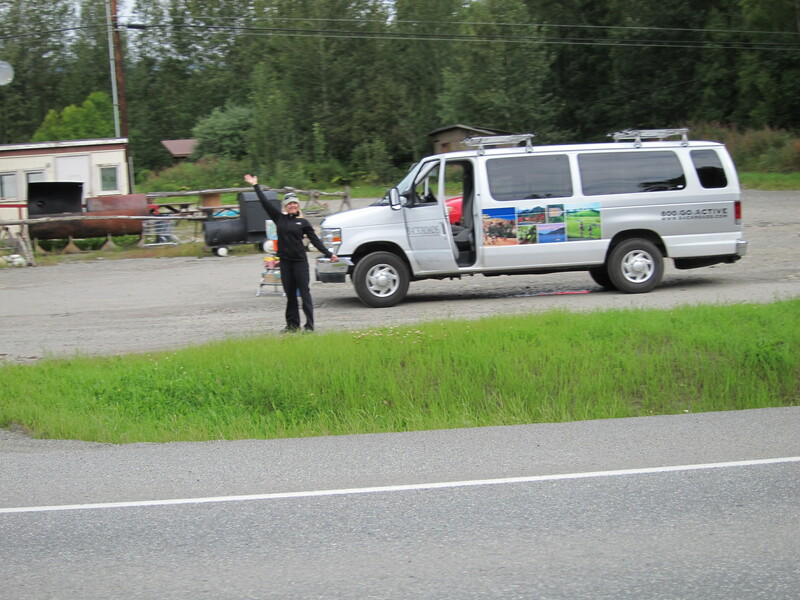 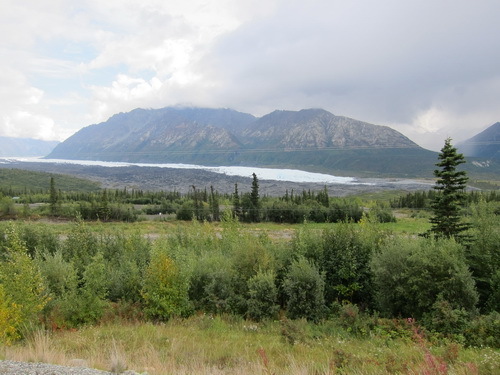 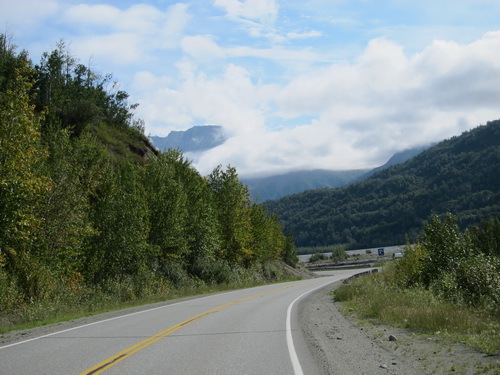 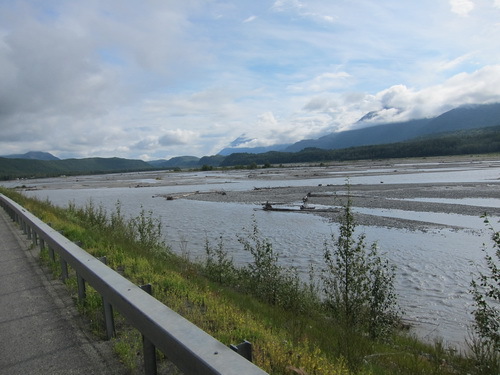 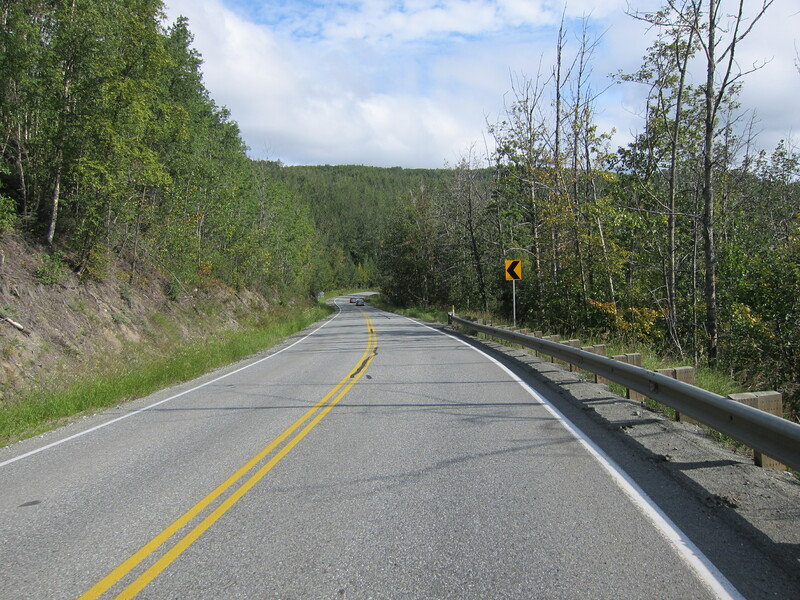 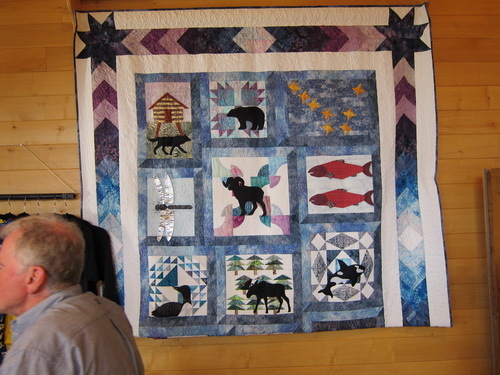 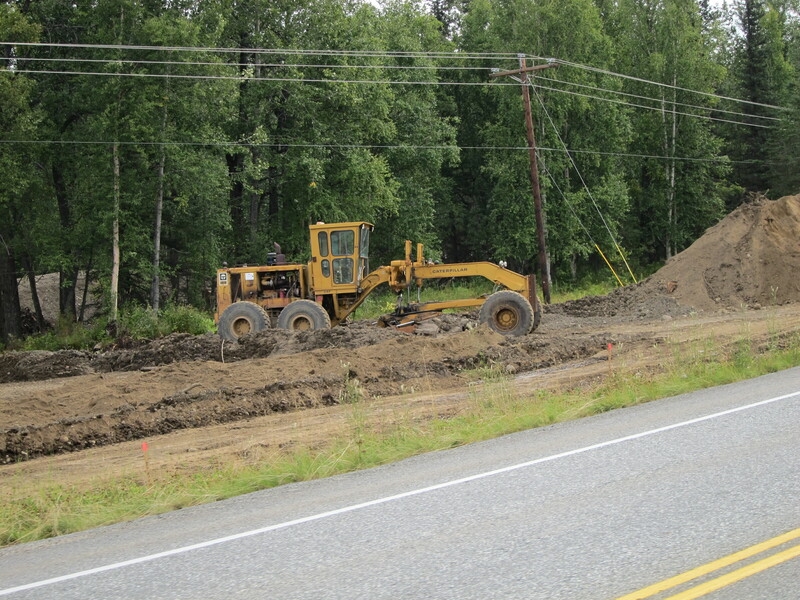 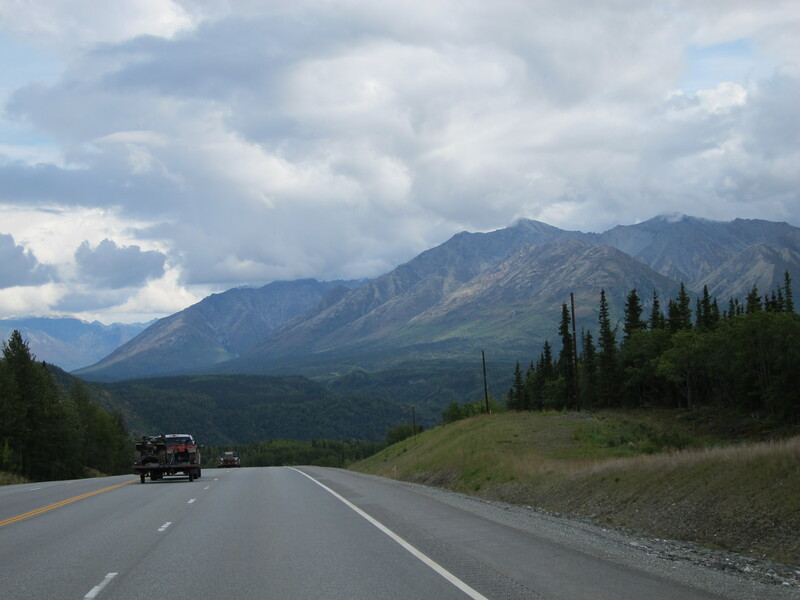 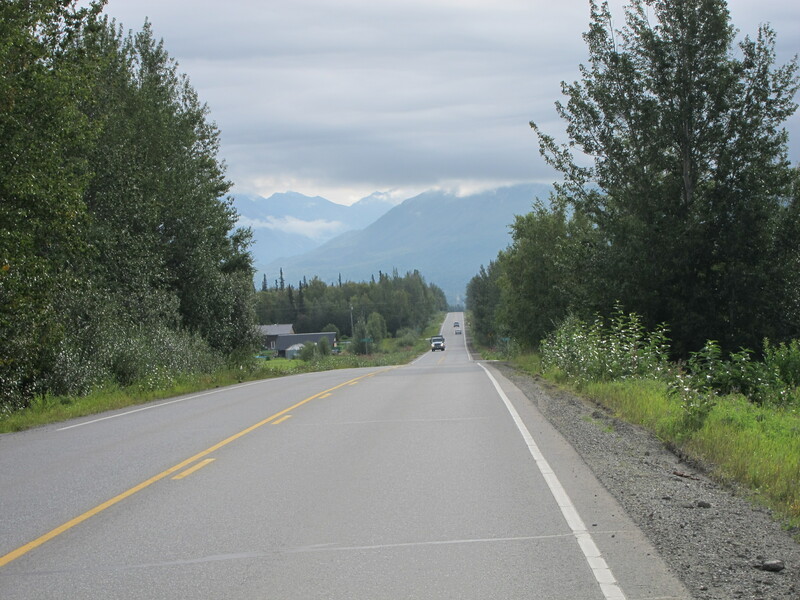 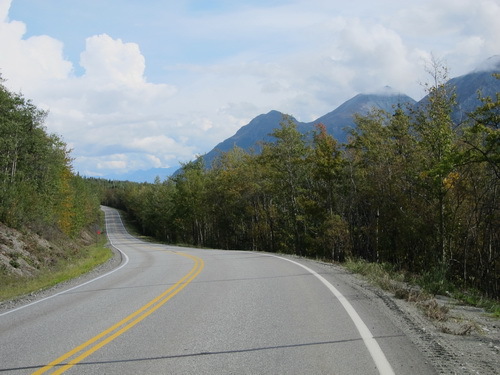 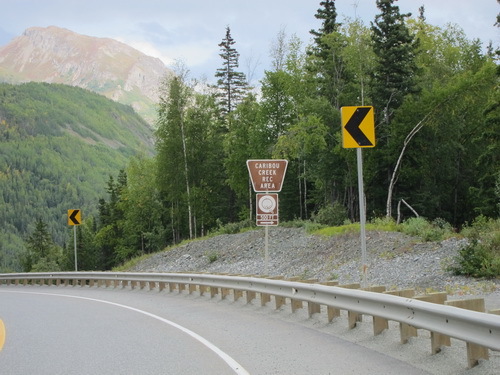 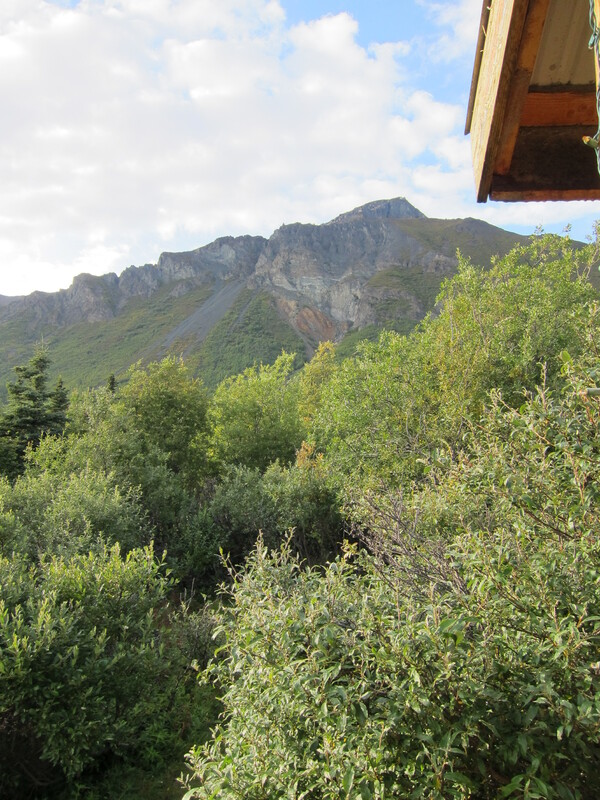 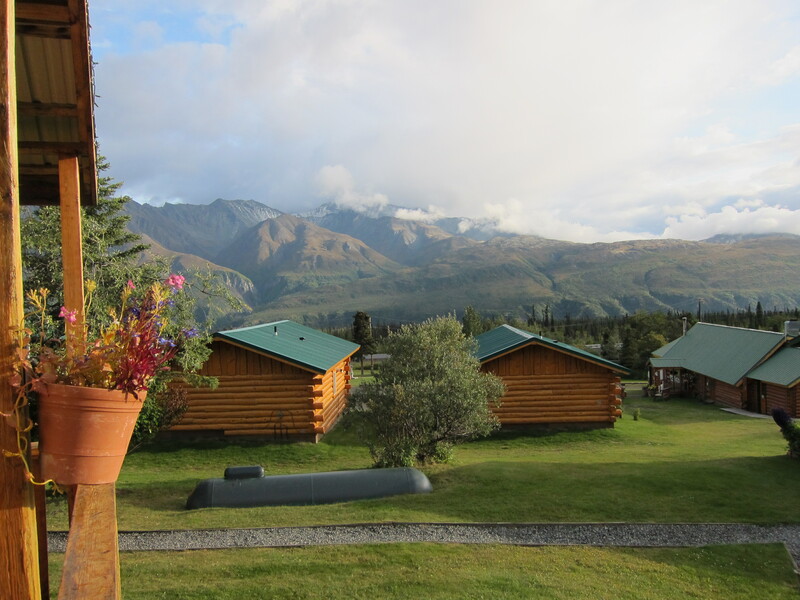 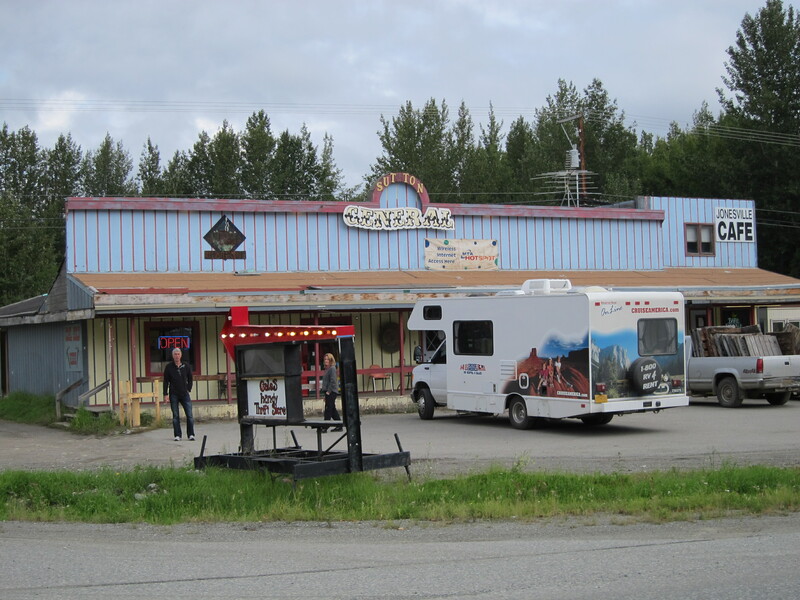 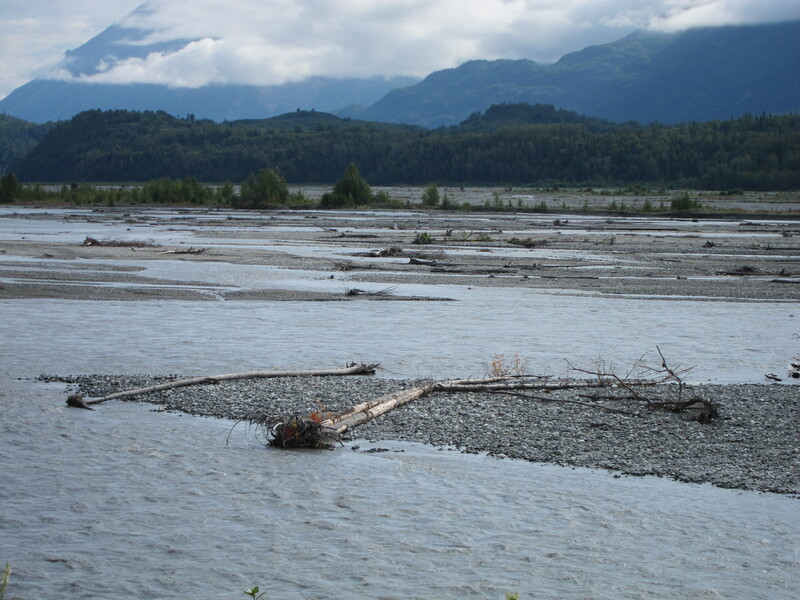 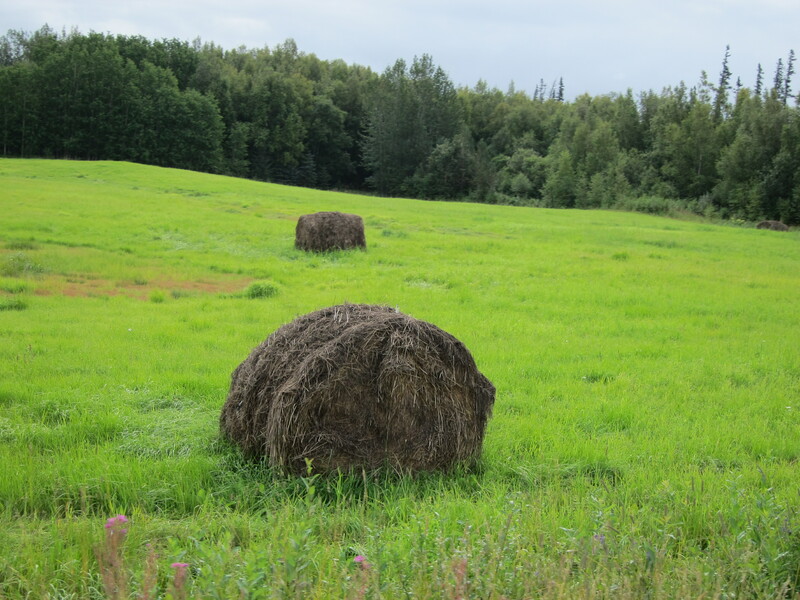 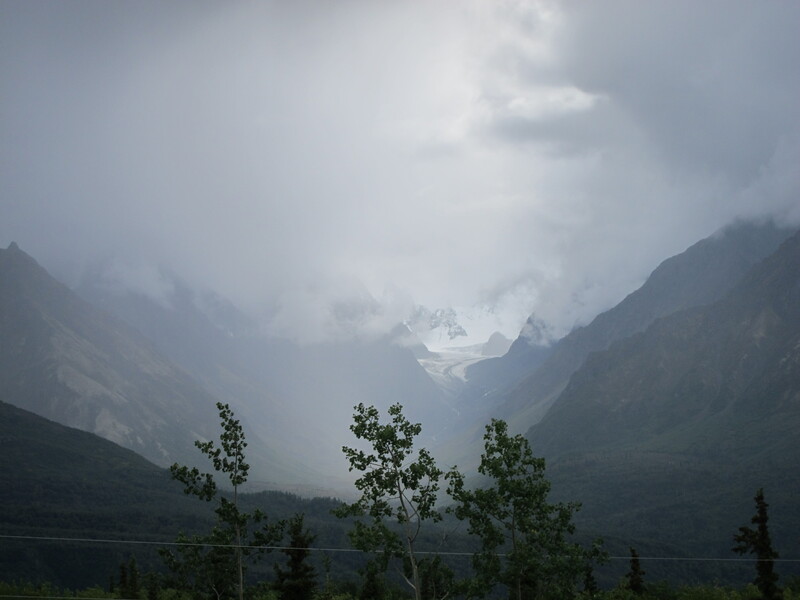 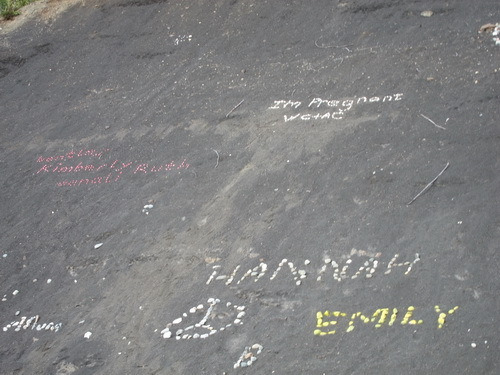 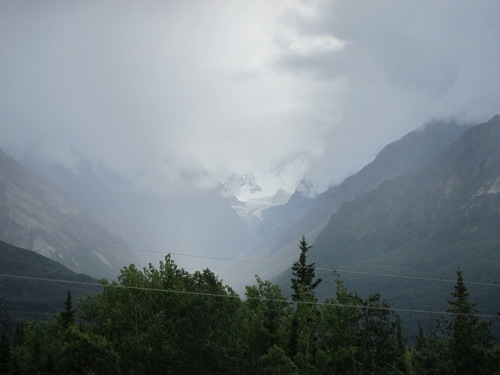 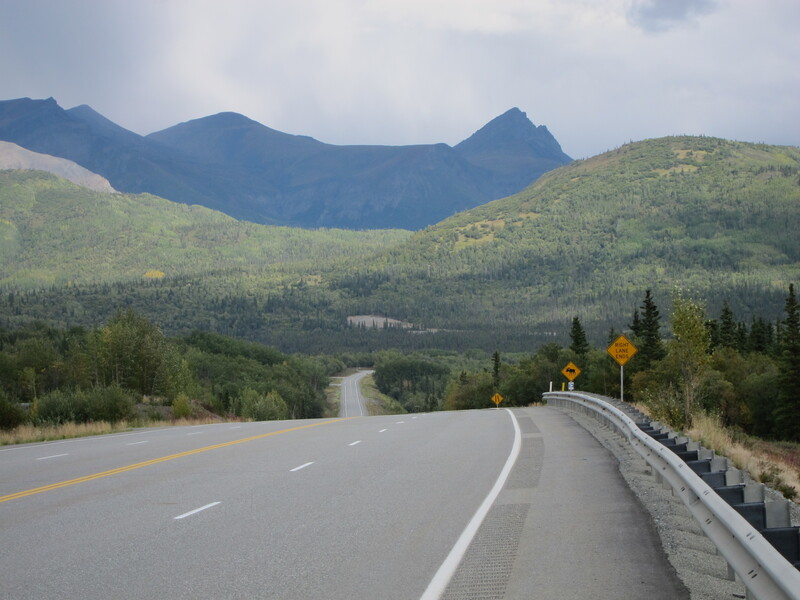 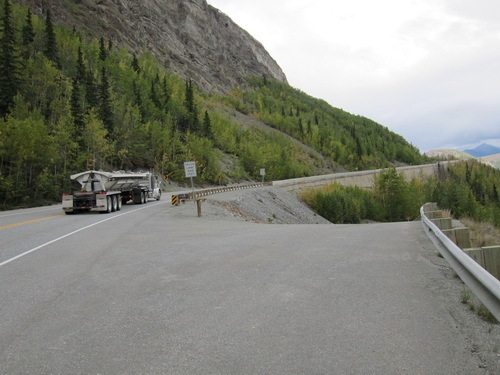 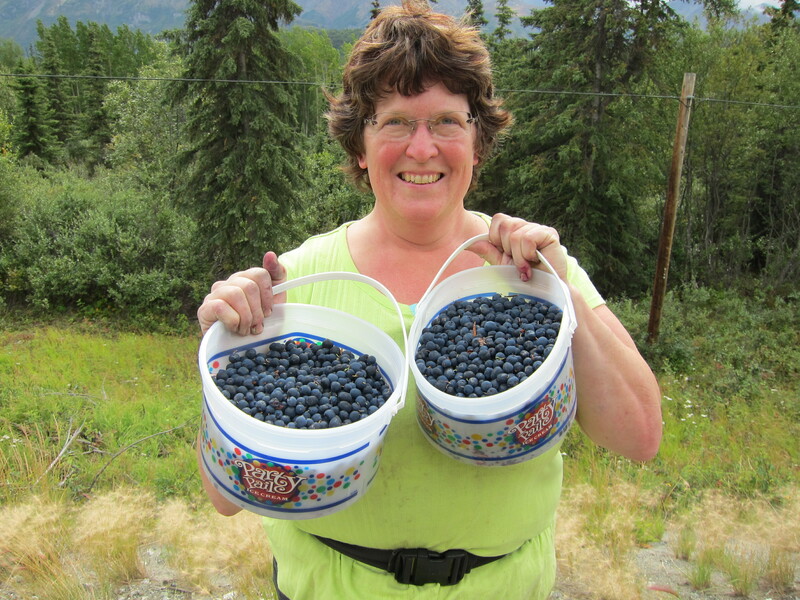 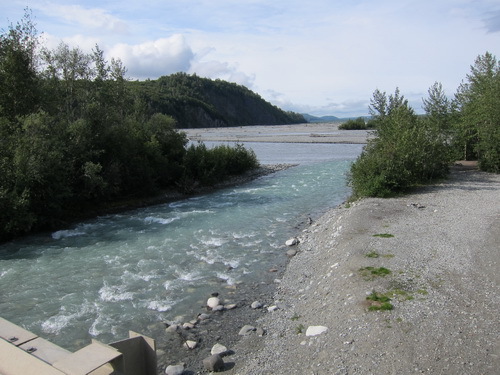 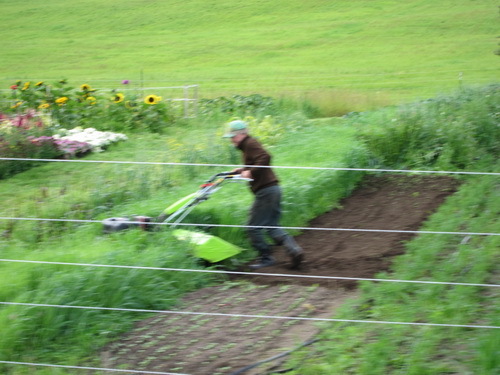 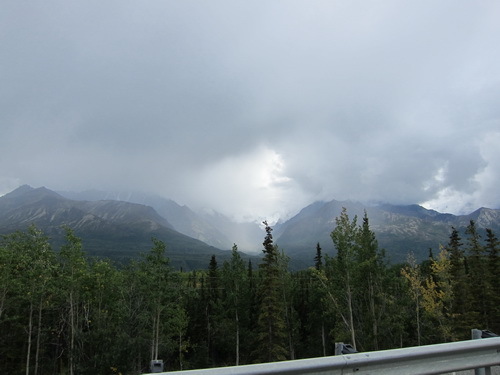 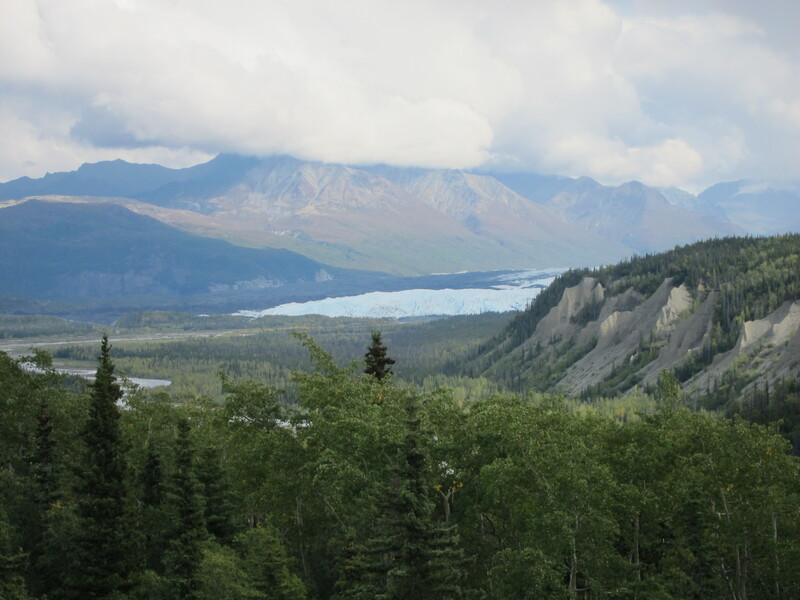 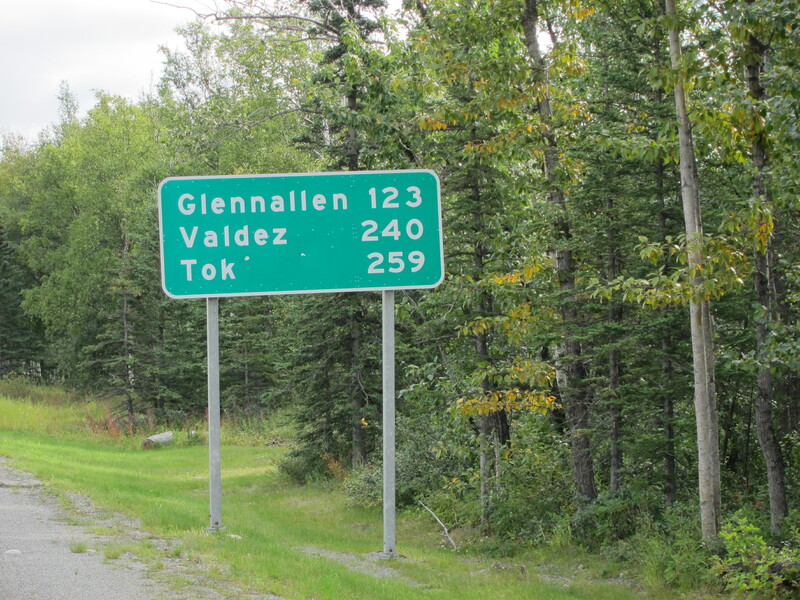 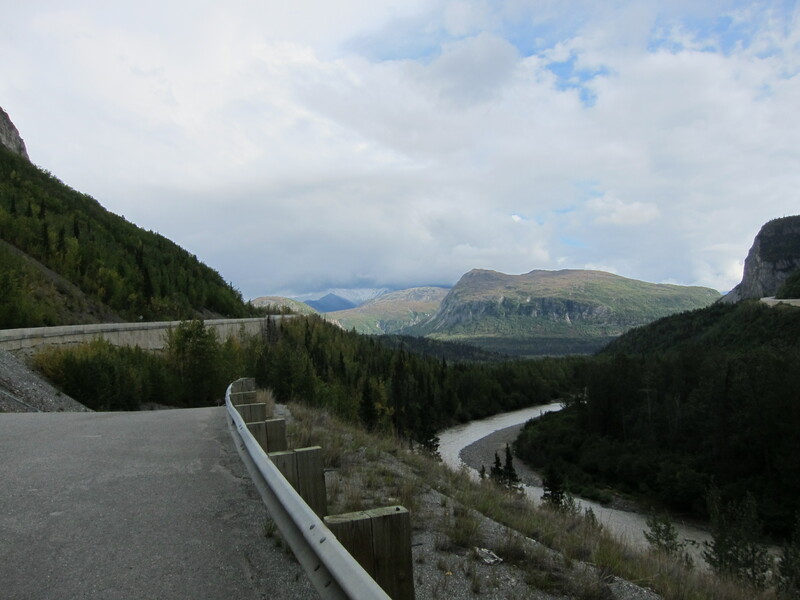 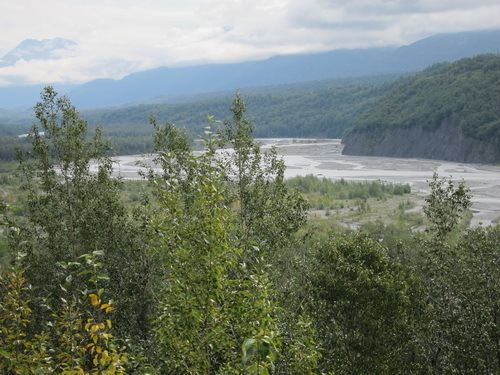 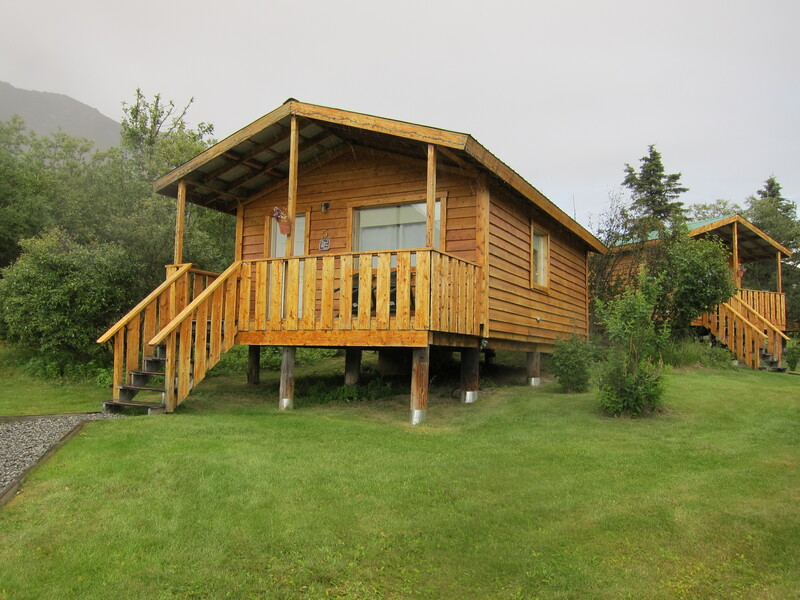 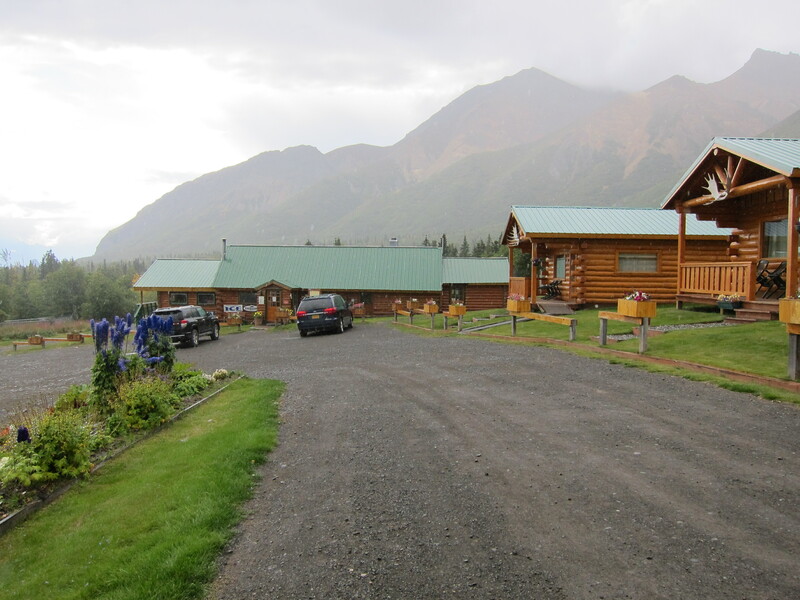 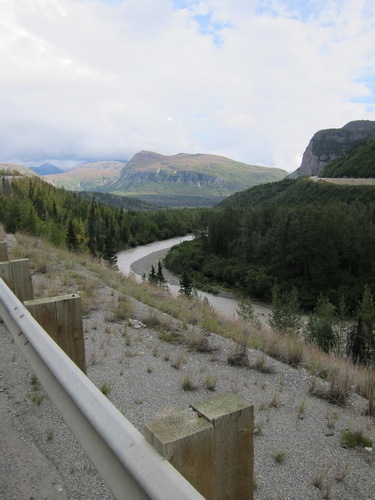 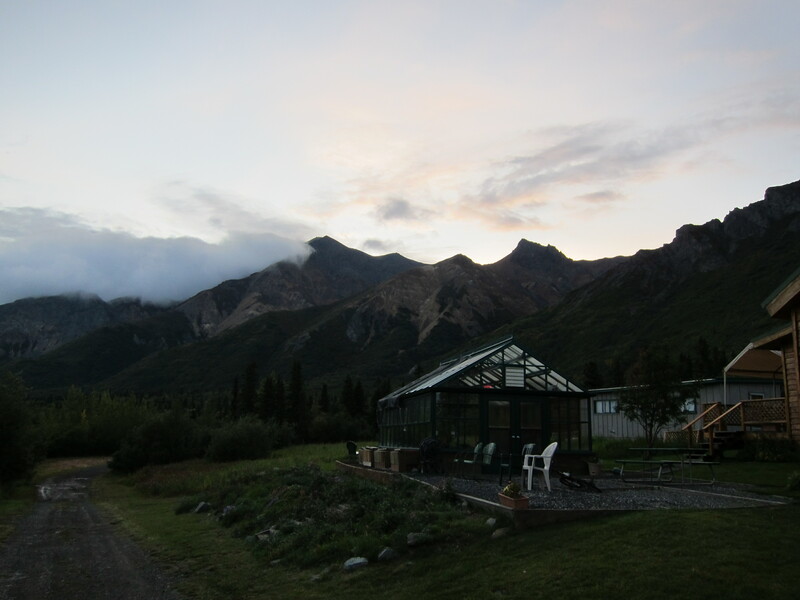 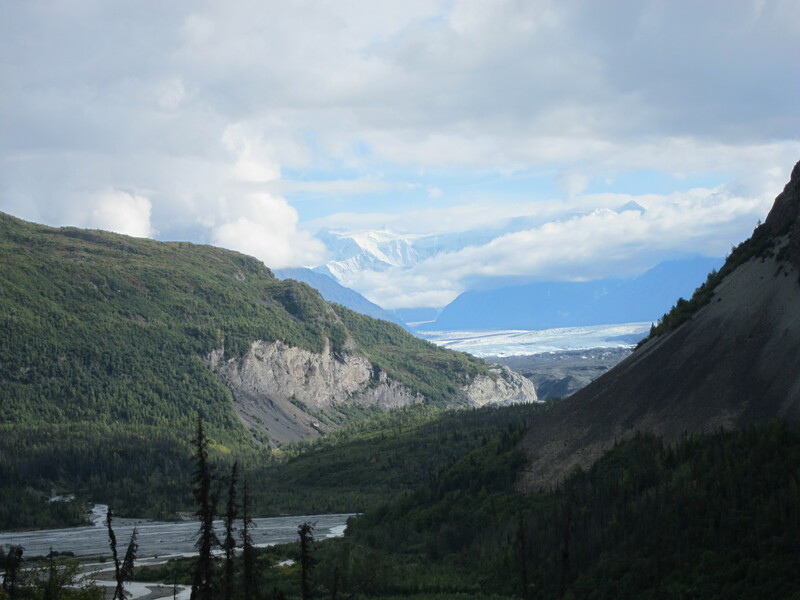 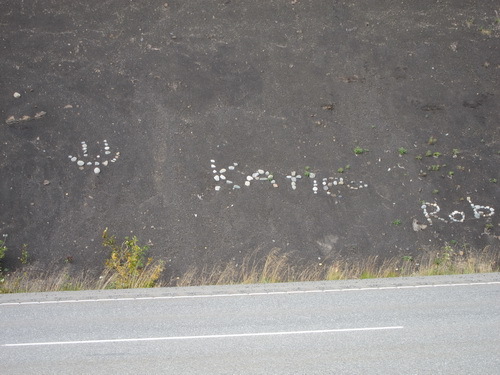 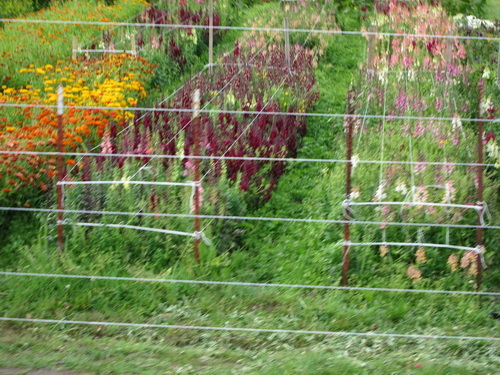 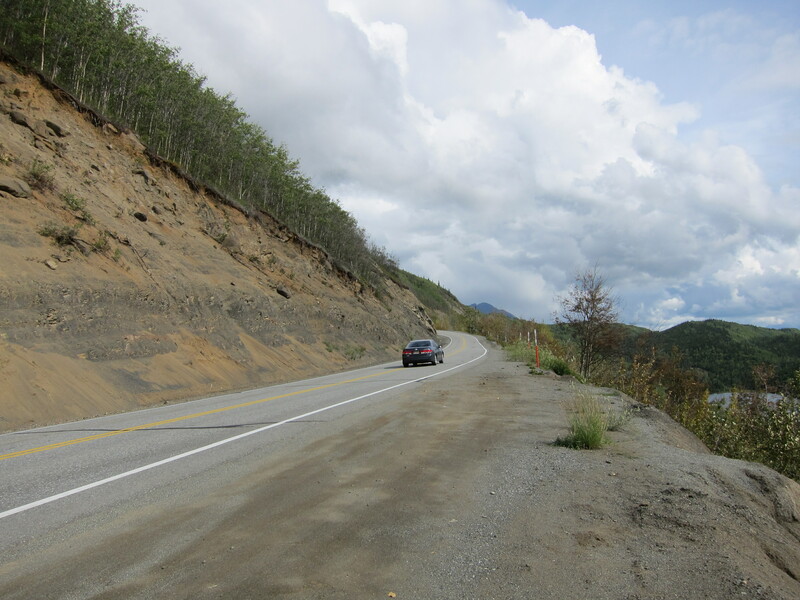 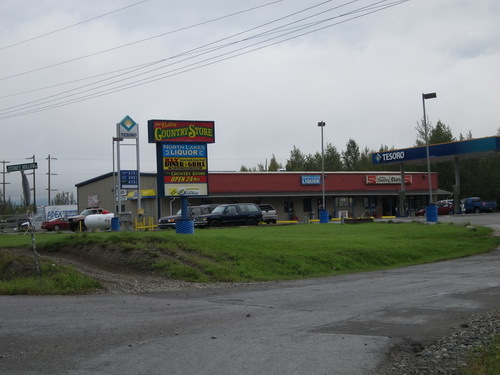 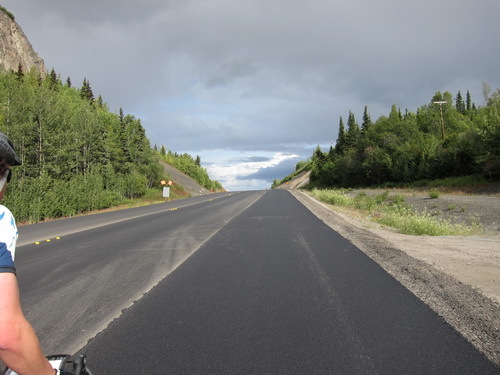 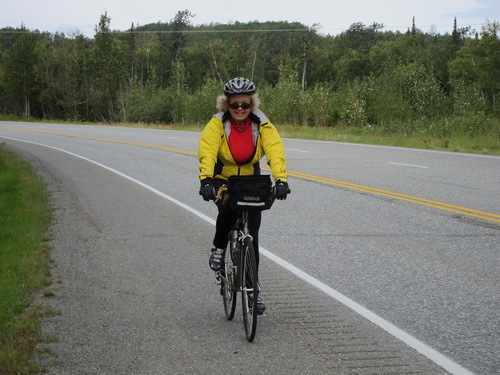 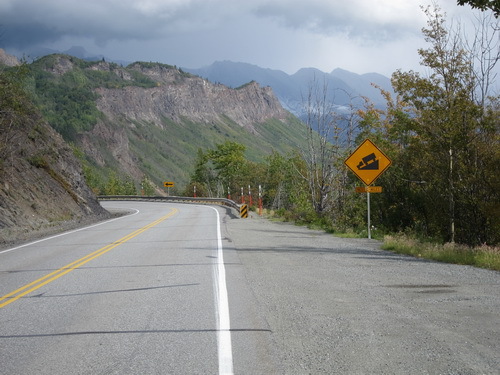 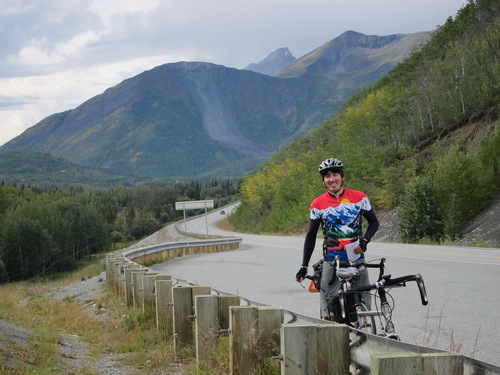 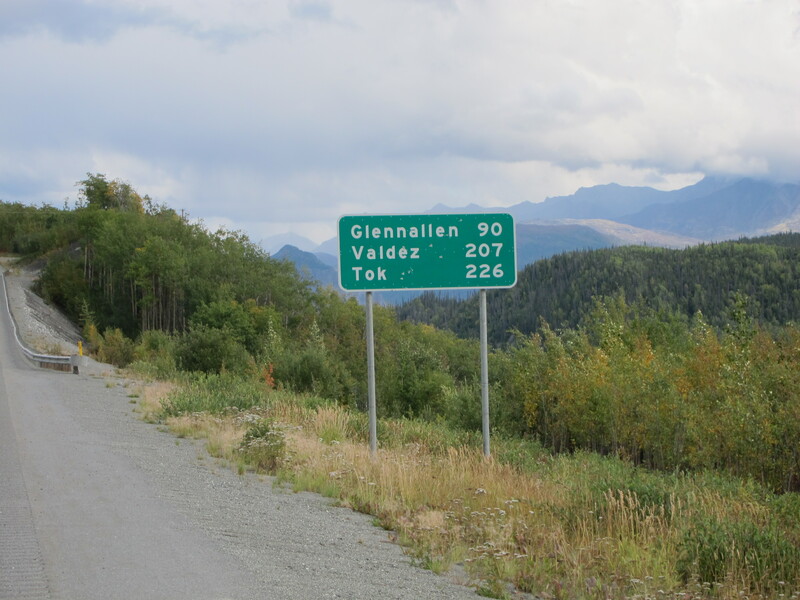 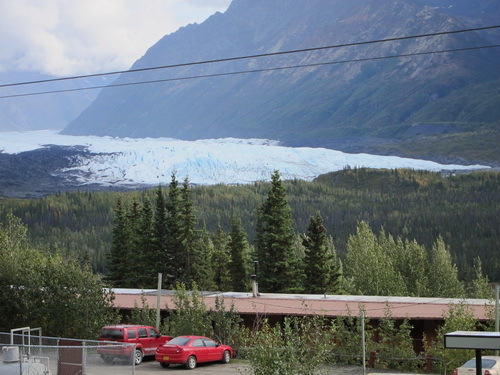 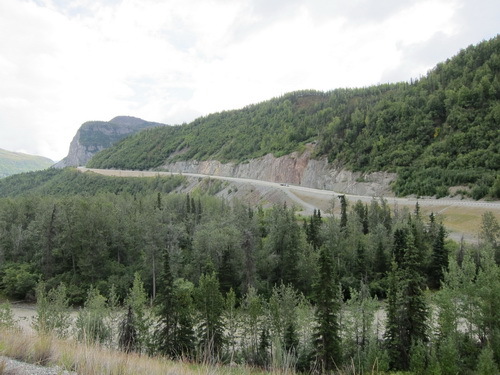 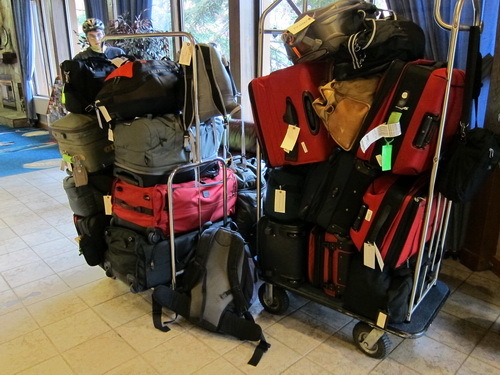 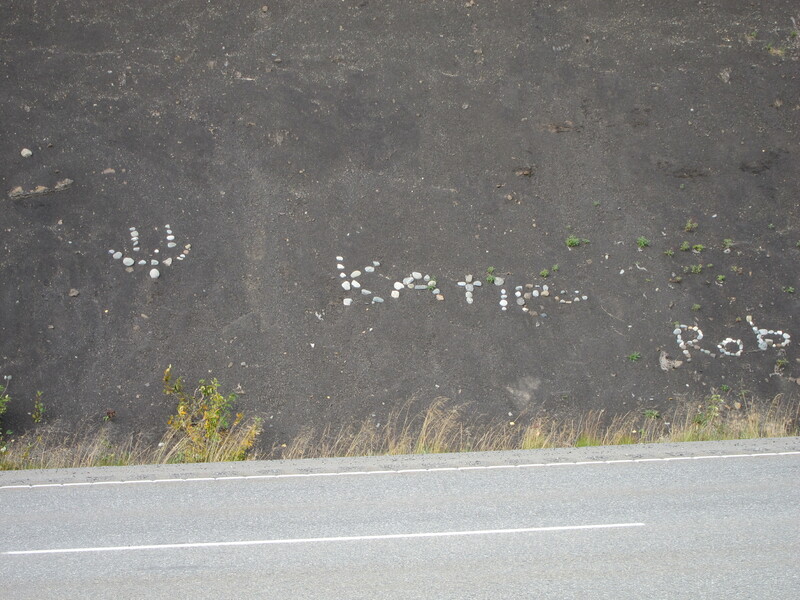 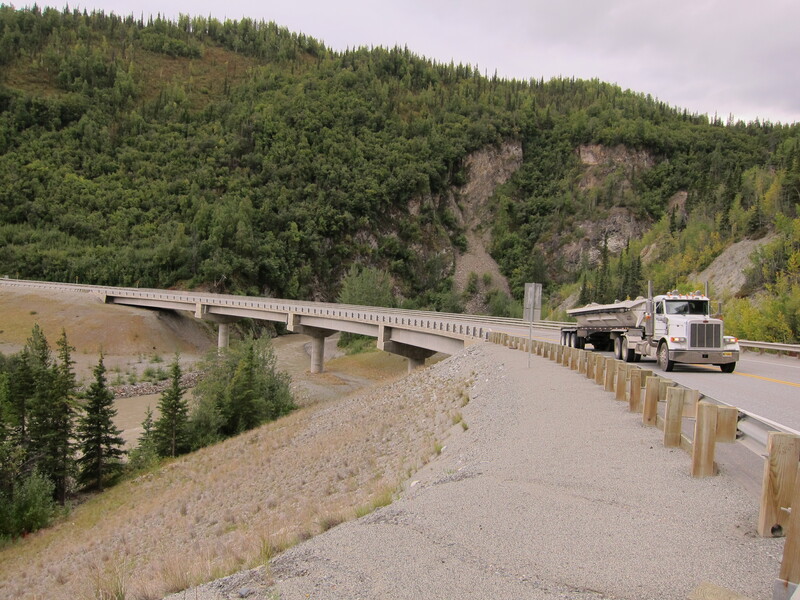 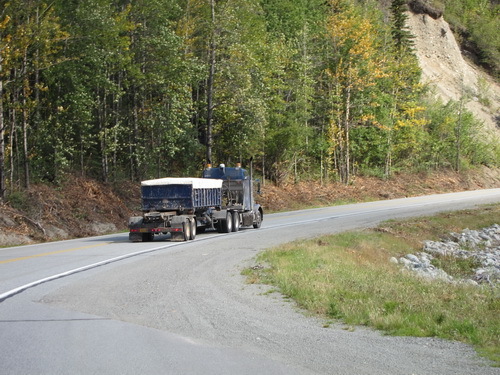 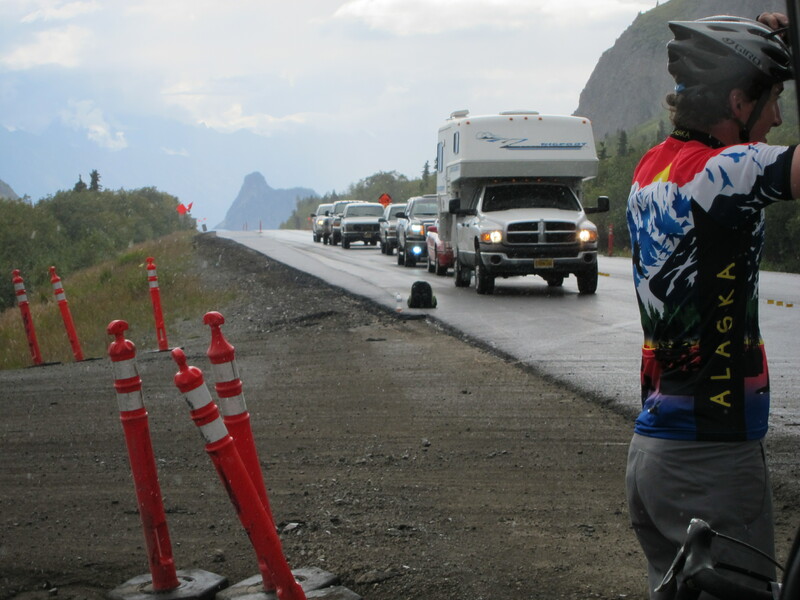 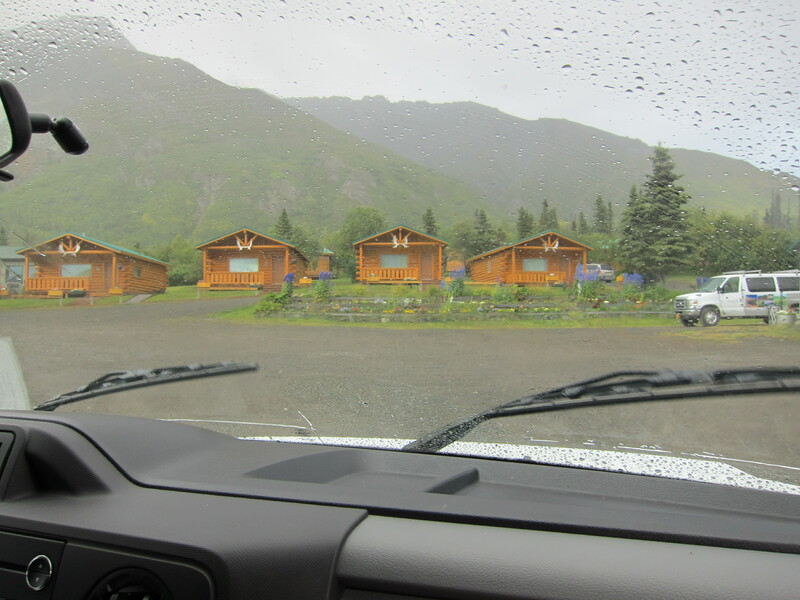 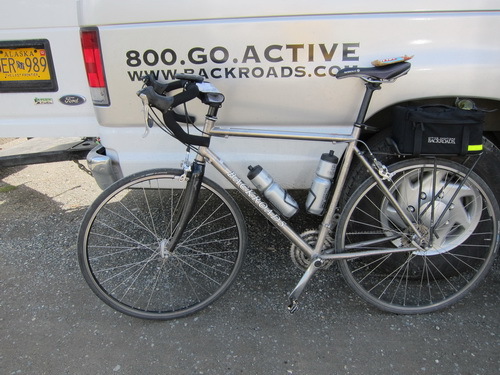 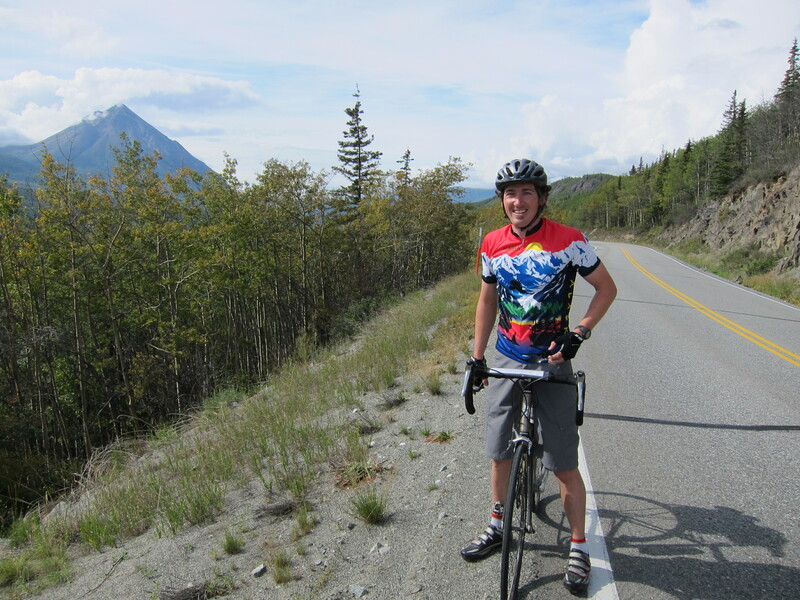 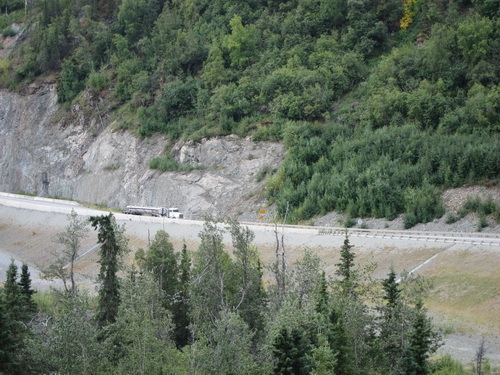 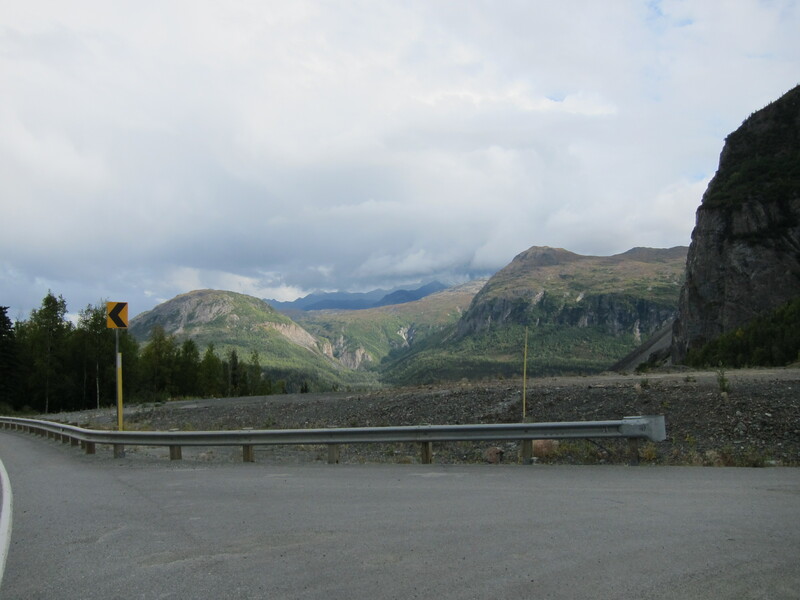 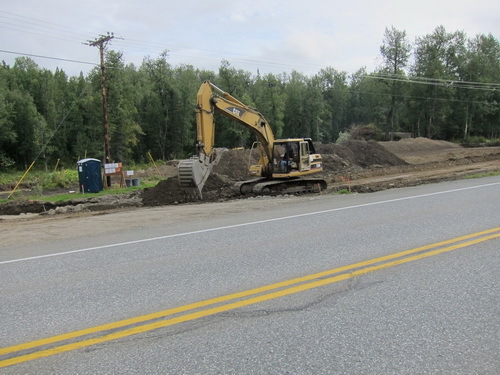 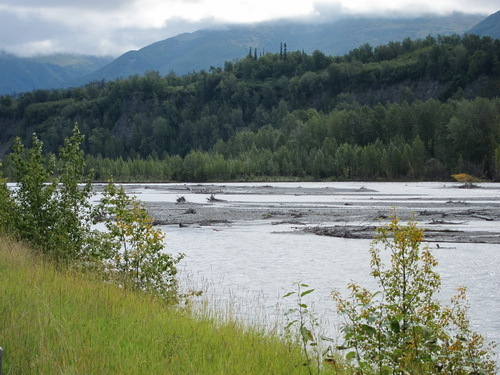 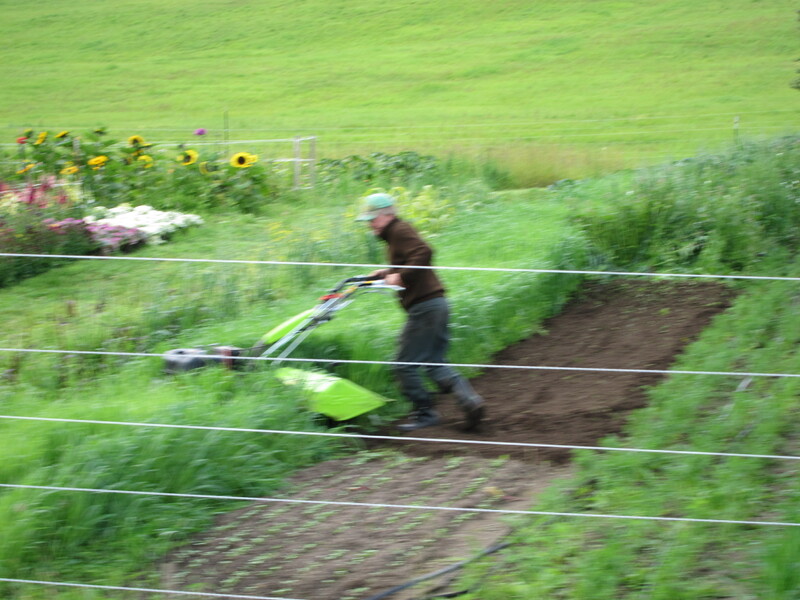 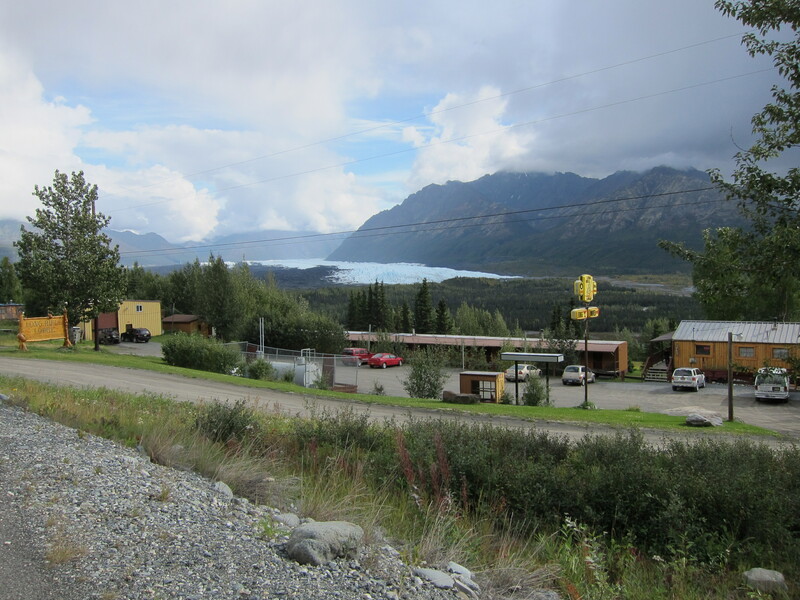 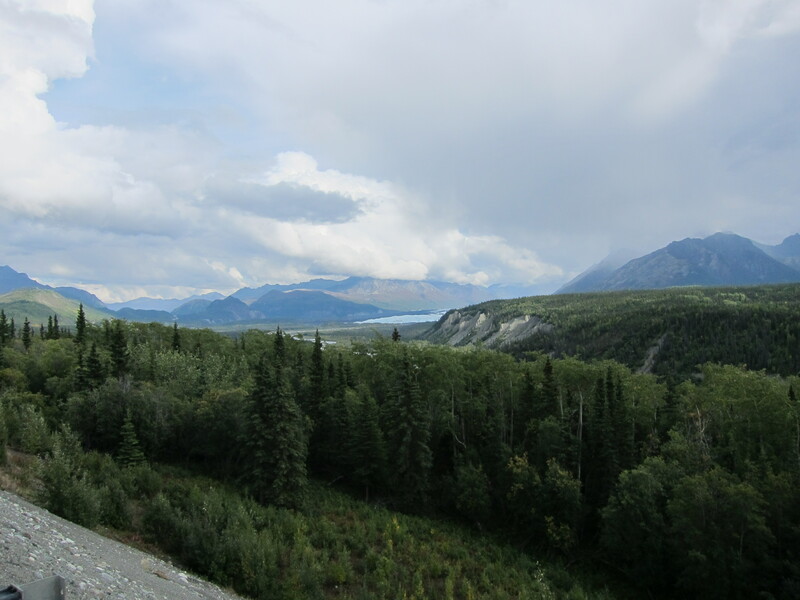 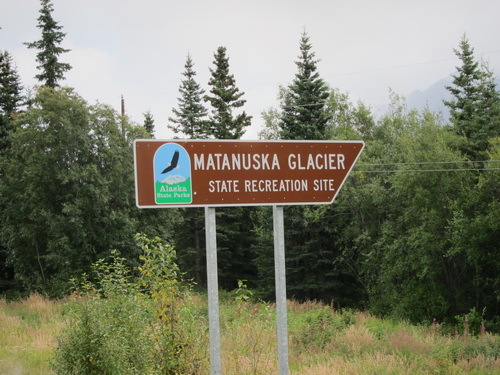 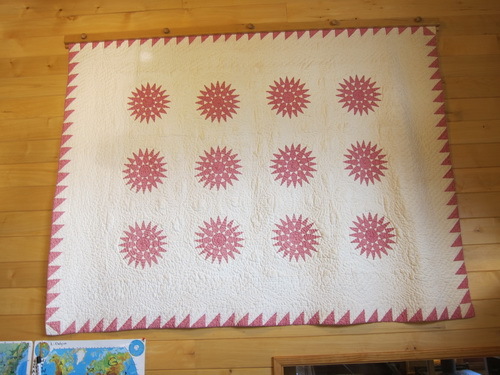 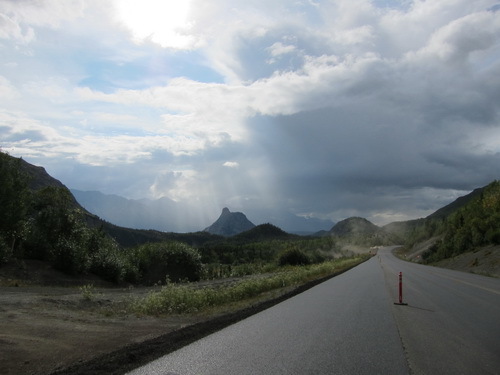 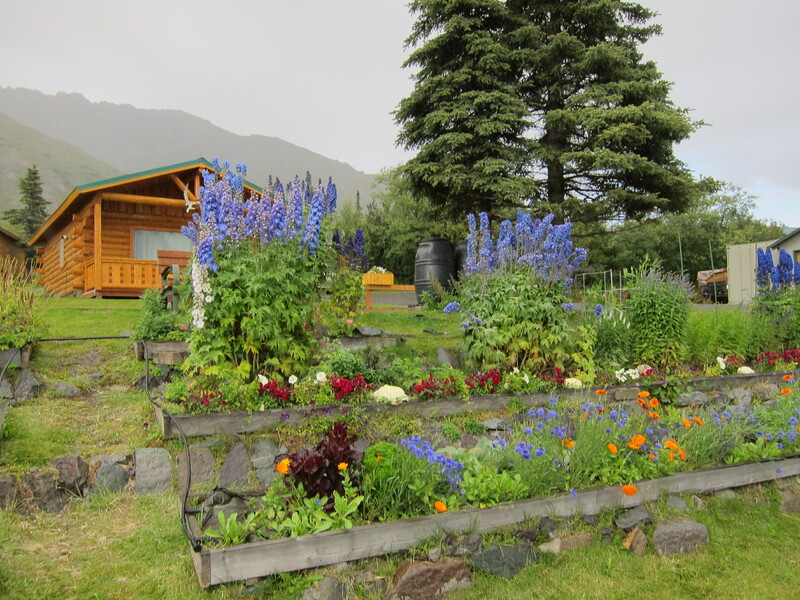 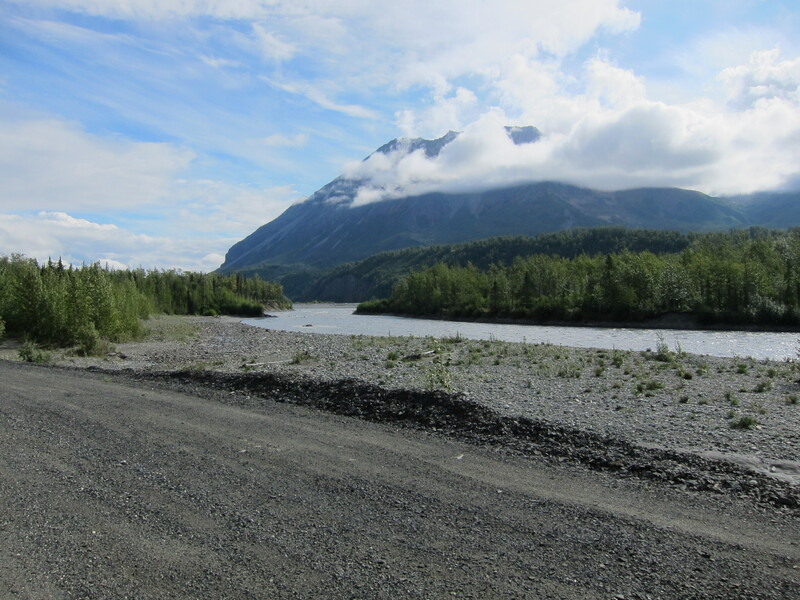 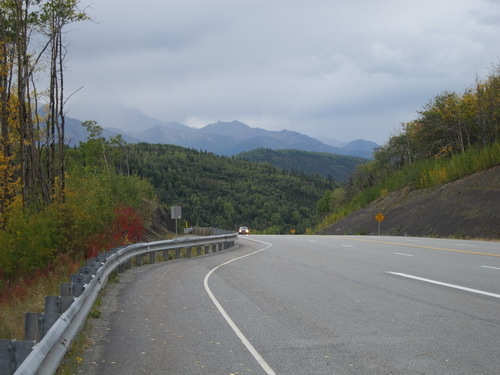 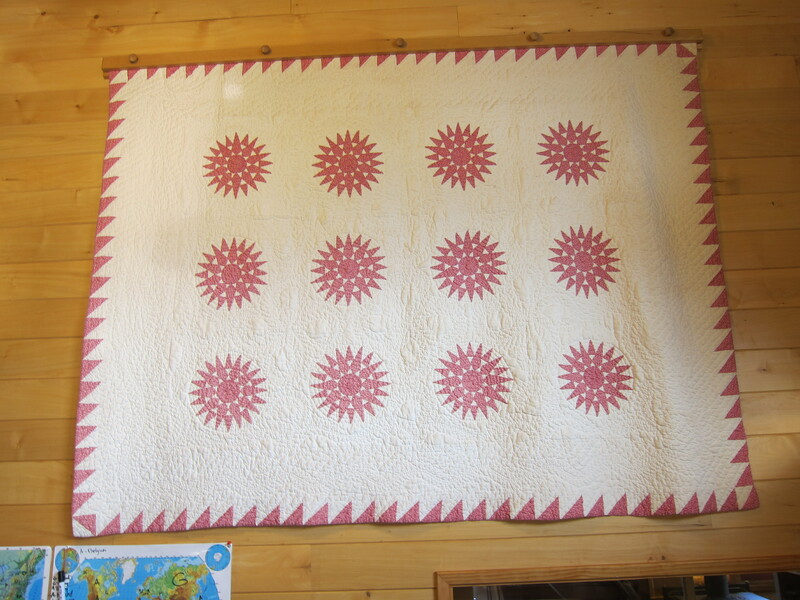 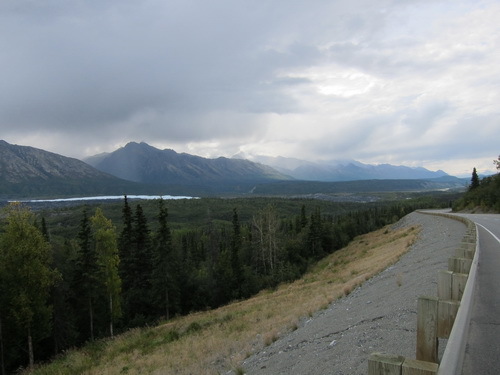 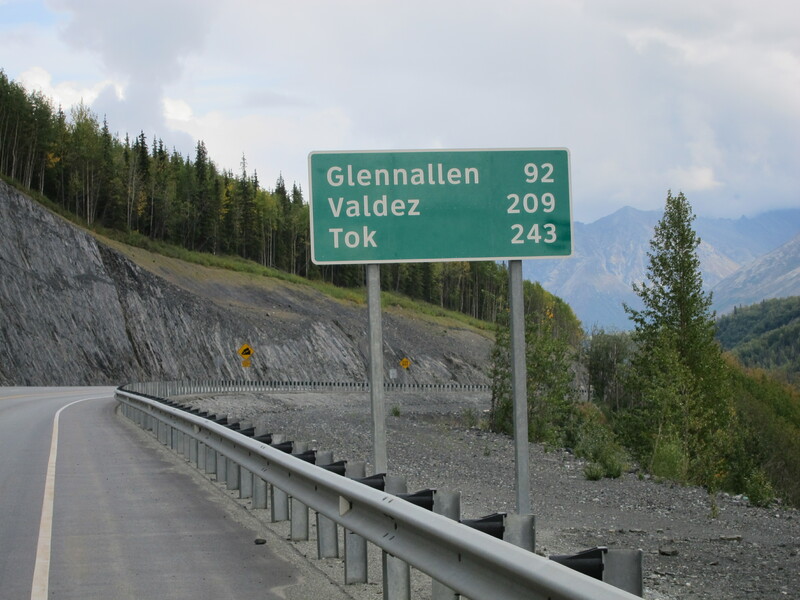 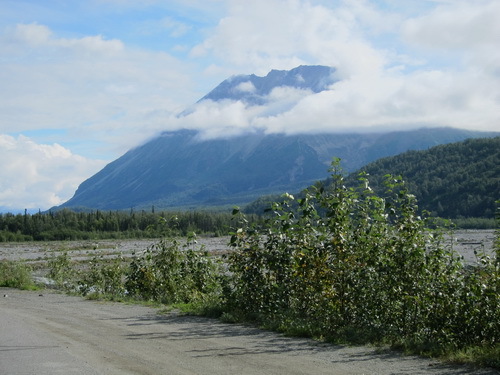 We rode by the Matanuska Glacier and encountered highway repaving less than a mile from our lodgings for the night. 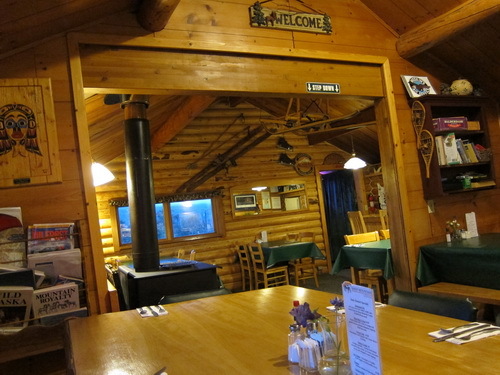 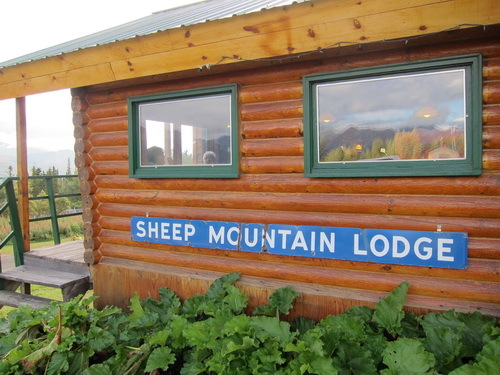 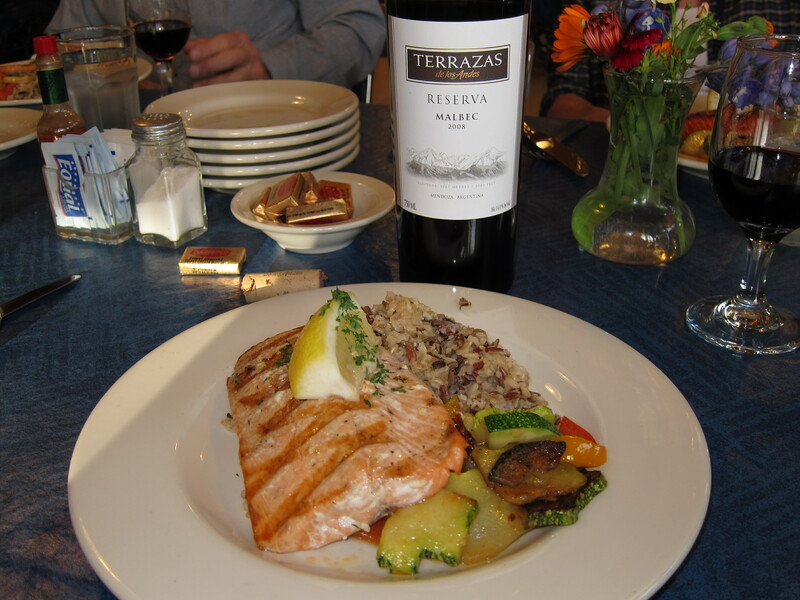 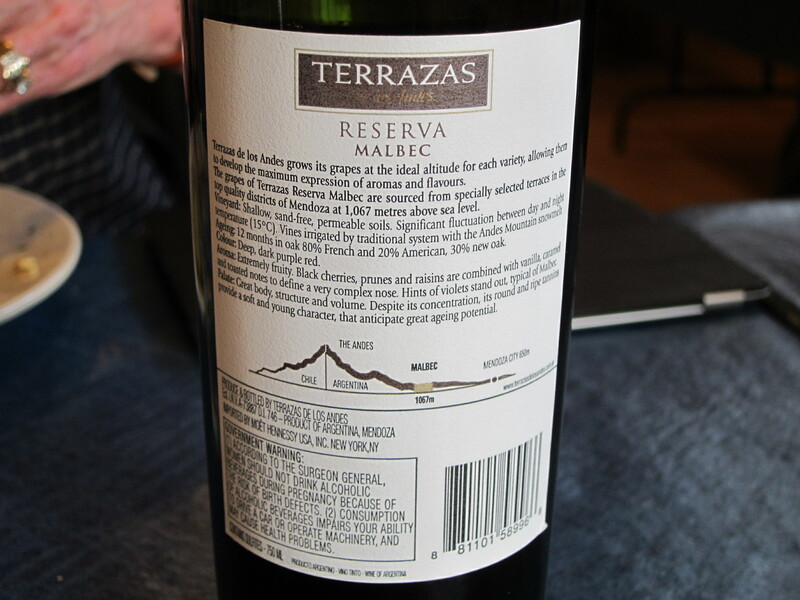 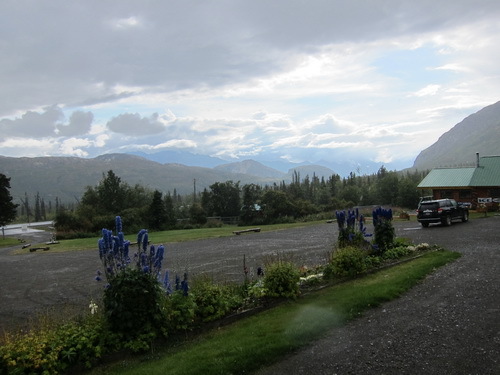 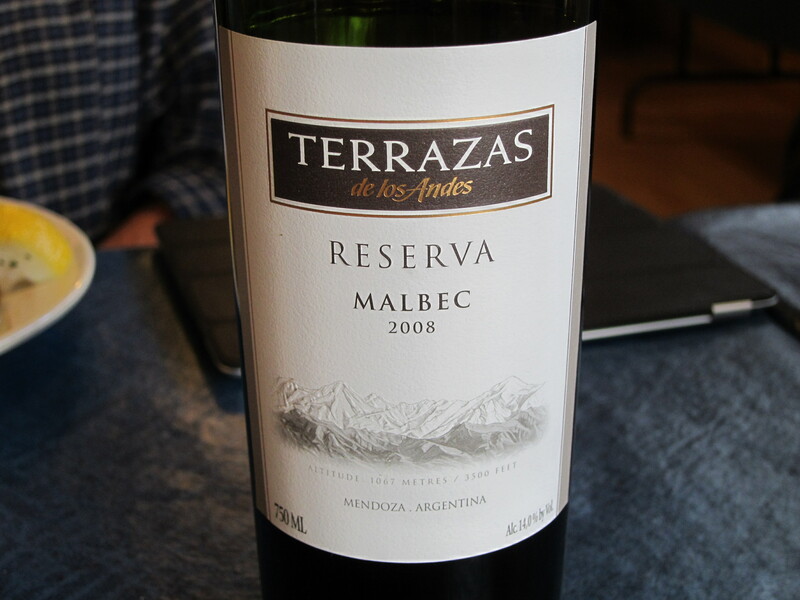 So we climbed into the van to shuttle the last little bit and arrived at Sheep Mountain Lodge at about 5:30 p.m.
We enjoyed a nice "red" (sockeye) salmon dinner along with a 2008 Terrazas de los Andes Malbec Reserva from Argentina. During annd after dinner we heard from co-owners Anjanette Steer and Zack Steer. 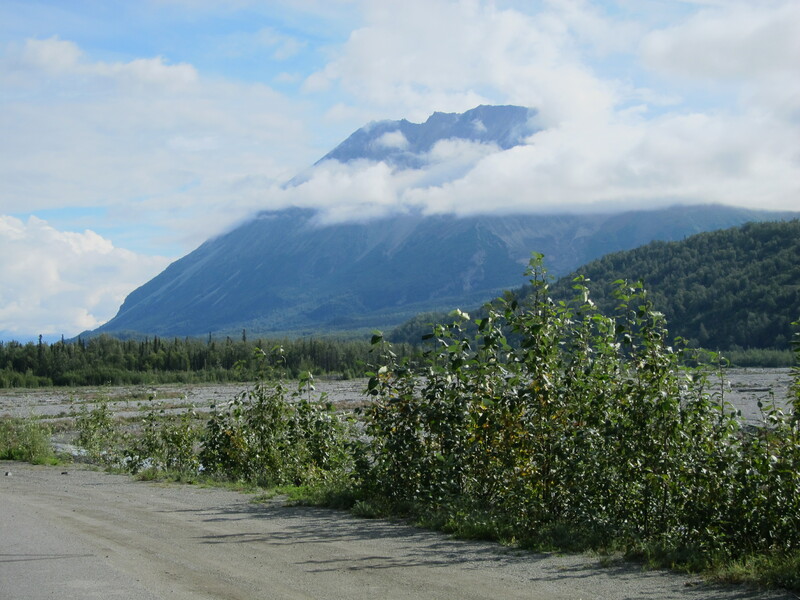 Anjanette will be competing in her first Iditarod in 2012, and Zack is a five-time Iditarod competitor who finished 3rd in the 2007 Iditarod.